Days: 15(26th September’14 – 11th October’14). 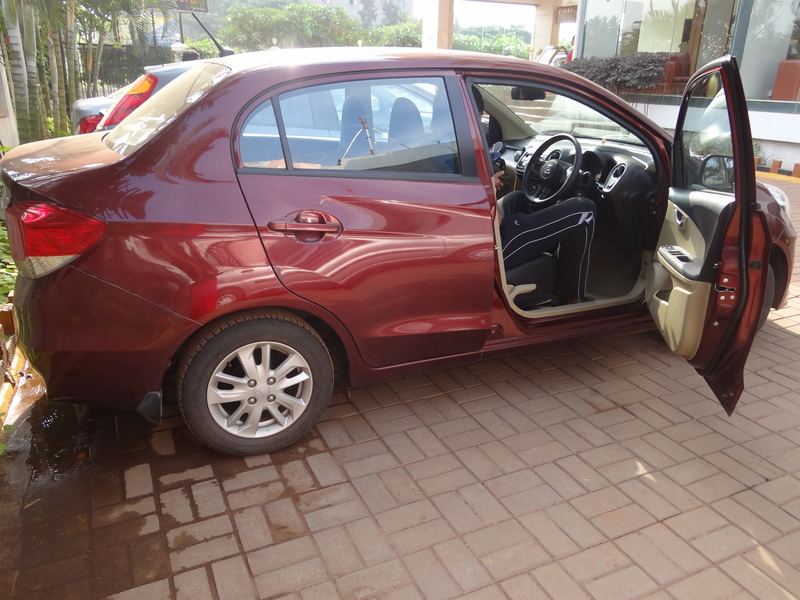 Mode of travel: Honda Amaze(diesel 2014 model). No of people: 2 people for start and end of vacation, joined by 2 other people in Mumbai so max capacity at some points of time 4. 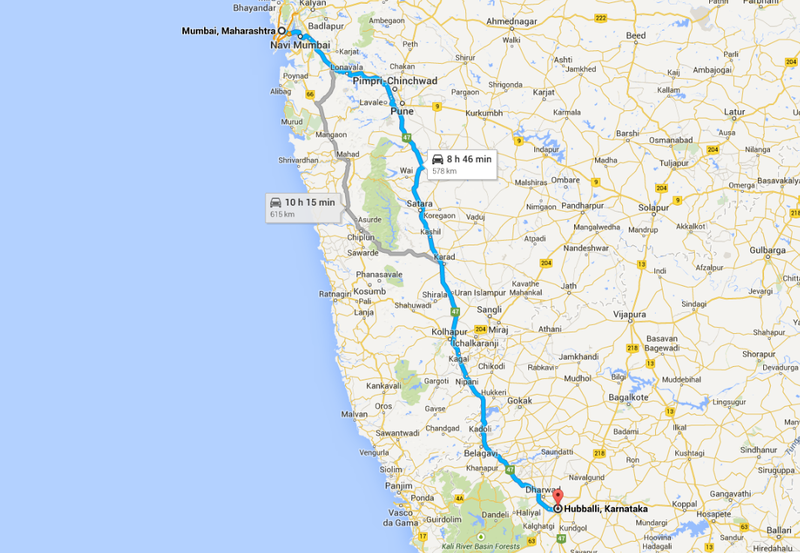 11th October- to Udaipur ->Mumbai->Bangalore, back home. Lets find out in the blog how did it actually materialize. 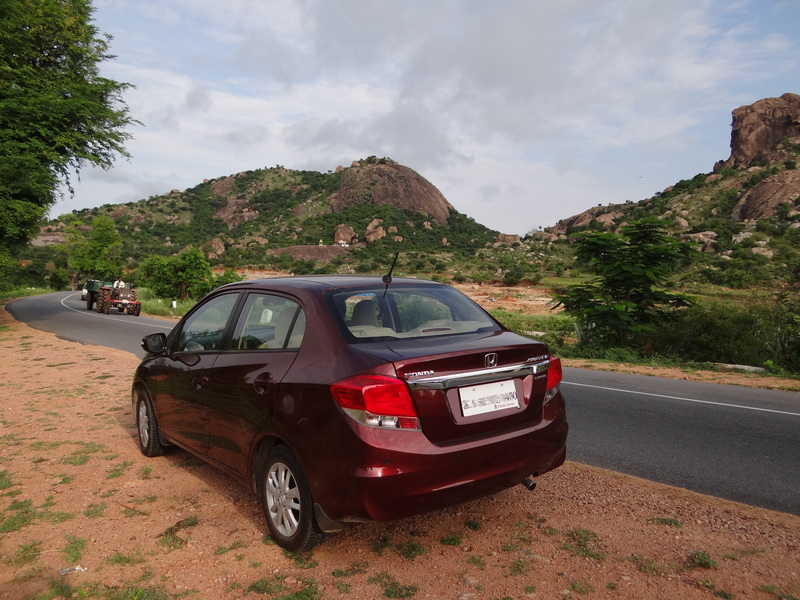 The so-called ‘Travel Bug’ had bitten us sometime back in January ’14 when we bought our first car. 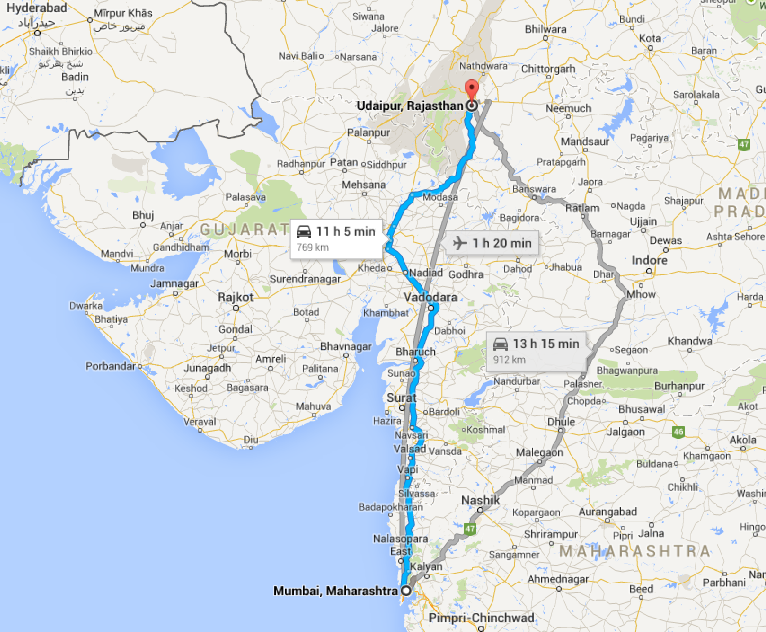 We were on a driving spree and were covering almost two weekend destinations per month. Some 4 months down the line when everyone started planning for the Durga Puja vacation, we also decided to take the much-needed break. 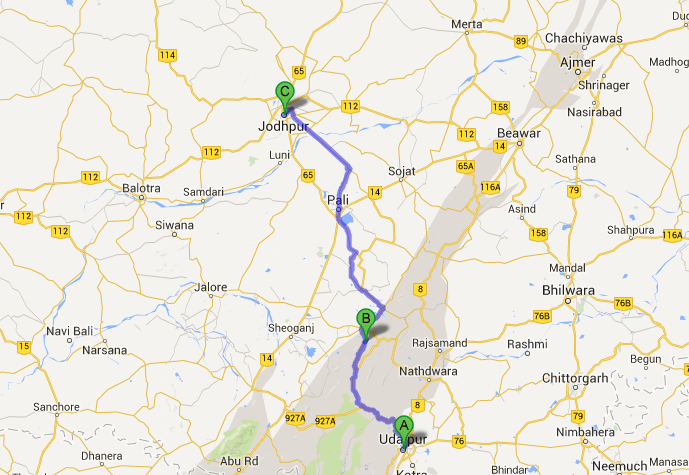 My husband, who is a driving enthusiast suggested a road trip to Rajasthan. As expected, I rejected his idea, outright then. More over, the fact that I can’t drive and that my husband would be the solo driver for such a long trip got me all the more unnerved. But still, I gave the idea some more thought and in another month the ongoing weekend trips had given me enough confidence for the road trip and it was then we started planning for our MEGAtrip, destination-> Rajasthan. Once the dates were laid out we followed the basic protocol and consulted this plan with couple of experienced people and it looked feasible!! This boosted our confidence and we entered the trip planning phase. Nearest car showroom numbers and service centers throughout the route(keep the phone number handy). The D-day had arrived and the plan, was to start for office by 7:00 am and finish work by 3:00pm and start the vacation latest by 4:00pm, yeah but sure – PLANS ARE ALWAYS PLANS..
With the road trip at the doorstep, we could not get much sleep the night before. Started our day early and tried to finish off all the last-minute nick-knacks but as expected our plan got a bit derailed owing to our endless office work. By, 3:30pm the work was still not wrapped up and thanks to all the last-minute hassles we could only start by 5:15pm from our home. It was an anxious moment for us leaving home and not knowing what we had signed up for the coming 15 days..but yeah that vacation had started!! Some 20 minutes down the lane, the stunning sunset by our side and the somewhat empty roads had lifted my spirits up quite a bit and finally, it had set in that we were going for our much awaited road trip! 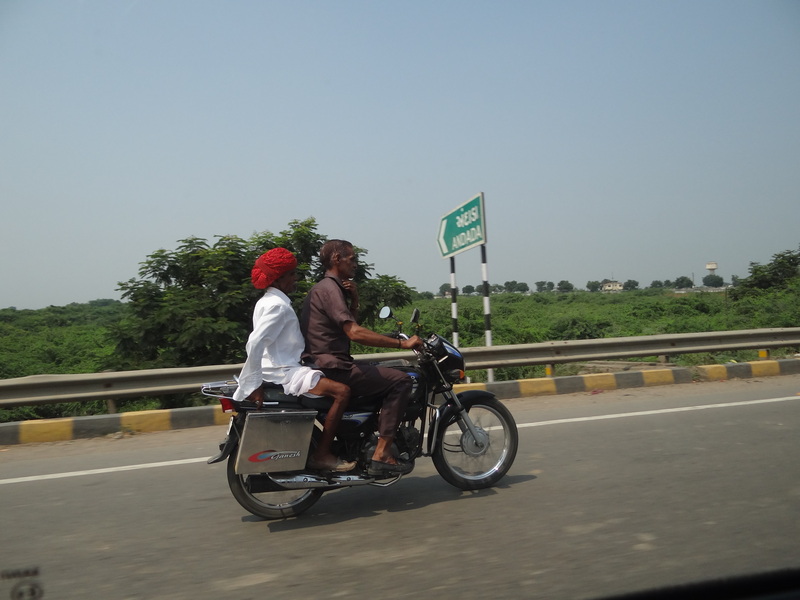 Things were going pretty smoothly and we were cruising quite swiftly through the beautiful roads of NH-4 . 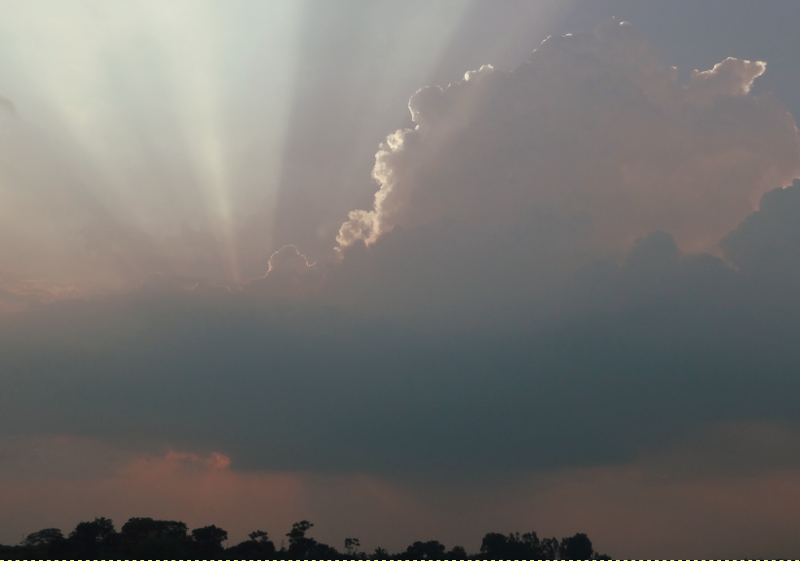 But our happiness didn’t last long as some 2 hr down the line where we neared Tumkur the weather changed drastically. We got caught up in heavy rains. The visibility went down multiple folds and it was getting impossible to even identify the dividers of the roads. We were inclining towards just stopping our vehicle and waiting for the rain to stop but it was getting worst with every passing minute and losing time was not a luxury that we could afford!! I remember asking my husband as to how was he able to even see the roads and he smiled and said – “Sometimes you just got to take a leap of faith”. I didn’t know what that meant, but I decided against asking any more questions. The rain had severely damped our spirits and I could not help asking myself whether or not was it a right decision to even plan out the road trip! At 9:30pm, it was still pouring relentlessly . 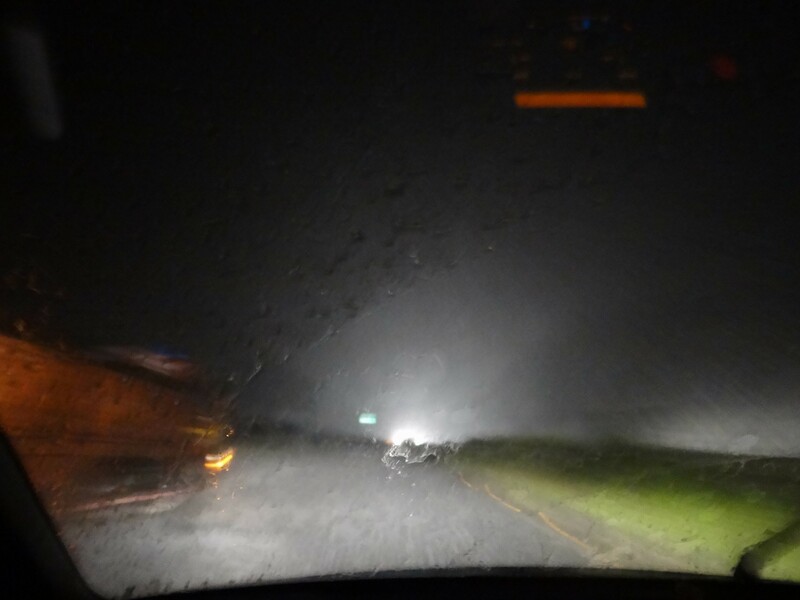 I knew that we had planned to avoid night driving as much as possible but this turned out to be a double whammy-night driving topped with heavy showers. 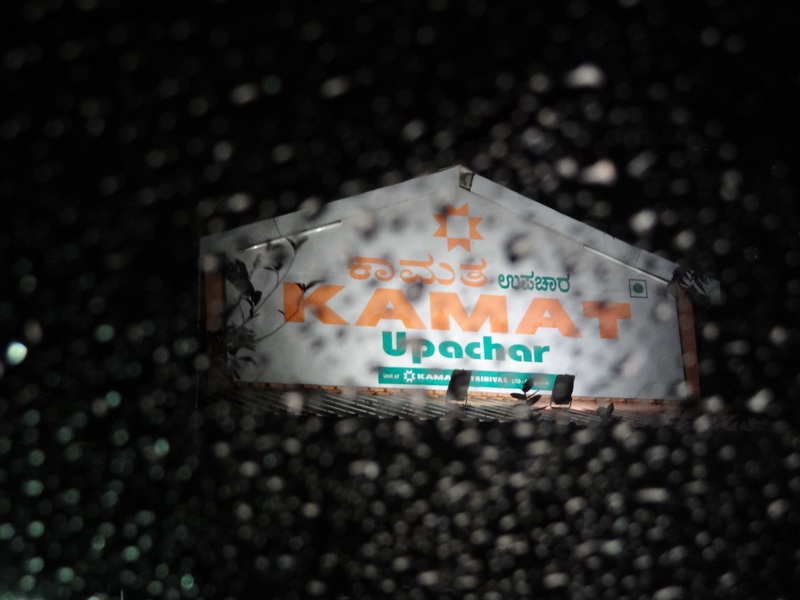 By 10:00pm we actually had a little relief when we spotted the ‘Kamat Upachar’ sign board from a distance. 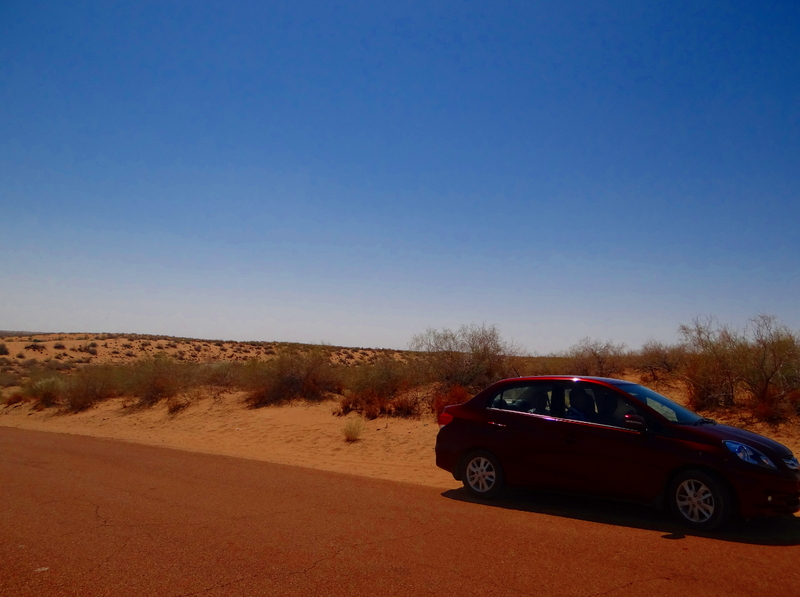 When we parked our car outside we had that feeling of getting back to the civilization. The chatter of people talking and the hot food getting served was the perfect fueling that was required for us both mentally and physically! We had our fair share of relaxation. Even though the weather conditions were the same but after the sumptuous dinner break we were in a better mindset to deal with the weather. By 12:00am we entered Hubli and luckily didn’t have to move around a lot to find Clark’s Inn. The toll personnel helped us and in 10 minutes we navigated swiftly to our hotel. 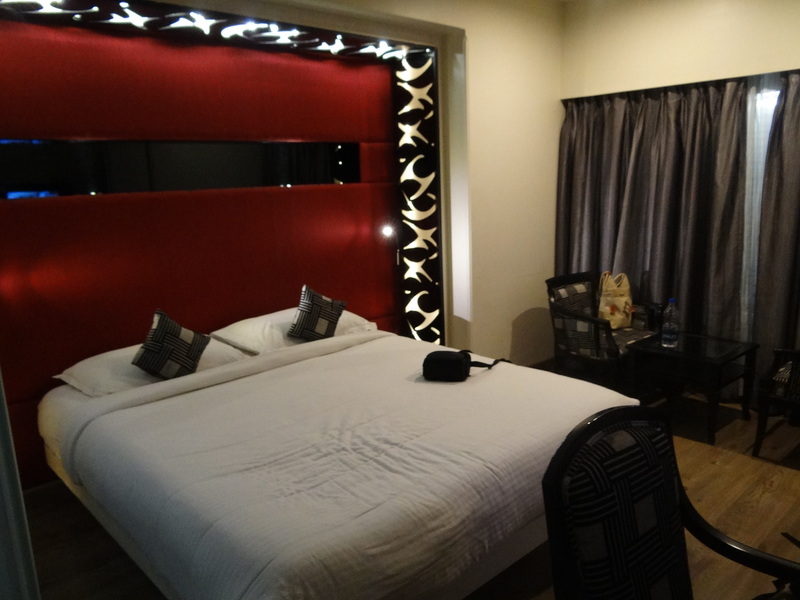 My heart warmed at the sight of the nice, clean, spacious room and the cozy bed.. . Without wasting any more time we straight away headed for the much-needed sleep. Next morning at around 7:30am, with a cup of warm tea in my hand and the bright sun peeping through the windows, I had already forgotten the cold, gloomy, damp night like a nightmare. We finished our breakfast in the hotel and around 8:45am we hit the road again and headed for our next destination -> Mumbai. We were enjoying the nice, sunny ride and were cruising pretty smoothly towards Mumbai. 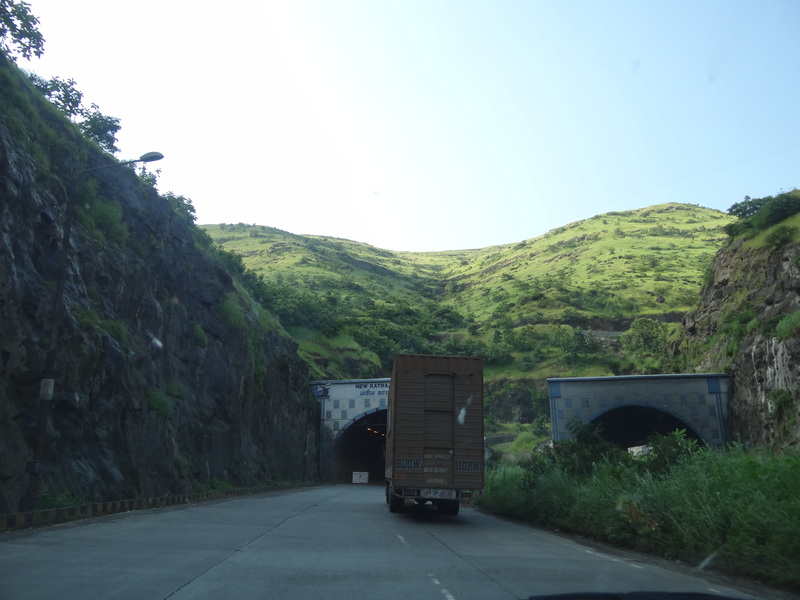 Roads were fantastic till kolhapur with very little traffic though we encountered some bad patches near Satara. got stuck in traffic while crossing Pune with road construction coagulating the traffic.Westopped for a lunch break(around 2pm) and a tea break(5pm) near the Mumbai-Puneexpressway.In all it was a pleasant, peaceful but a long journey. 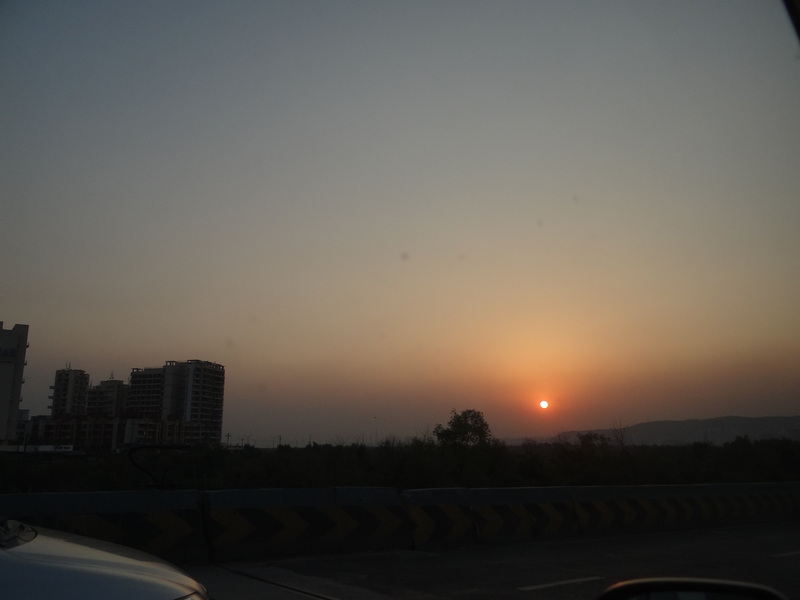 The Mumbai Pune Expresway – This was the highlight of the day. This 6 lane road is truly an Indian driver’s dream. This beautifully constructed road is no doubt toll heavy(we paid a whooping 195 as toll for this road!!) but yeah its an experience in itself. By, 7:30pm we had reached our hotel ‘Hotel Sharnam’. We were relieved not to get stuck in Mumbai traffic and had successfully reach the second checkpoint of our journey. The hotel had nice clean room. It had a vegetarian restaurant which served presently descent food. Having reached earlier than expected we planned to have dinner and then retire to bed early so that we could return to the roads as early as possible tomorrow for Udaipur. We were happy thinking that tomorrow we would be touching our destination finally!!!. “Breakfast in Maharashtra, lunch in Gujarat and dinner in Rajasthan…in today’s agenda.. This was the catalyst of our day’s start! 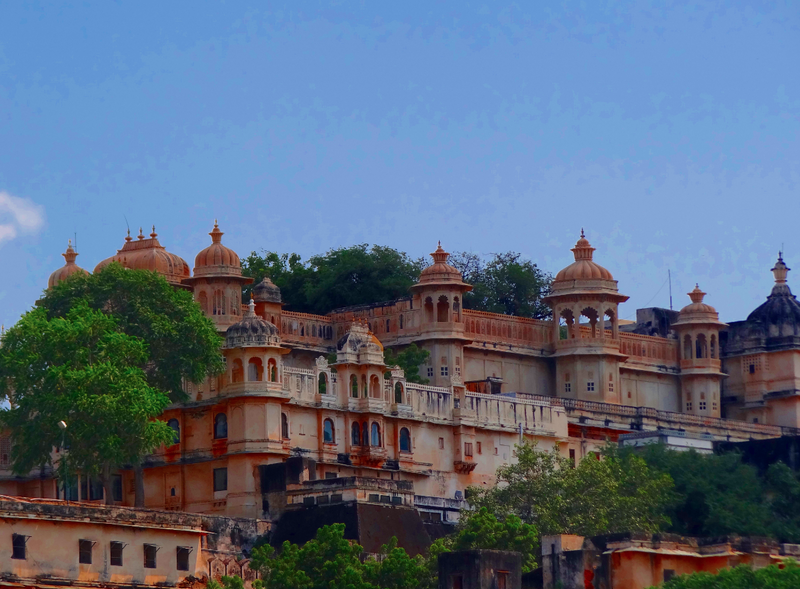 Udaipur – 313001, Rajasthan, INDIA. Today, we were joined by one of our college friend so, we woke up quite early and by 6:30am after refreshing some of our old memories and having an early breakfast we were all set to sail the roads again. It’s so good to see how culture, language, people change when you go from one state to another within the country. 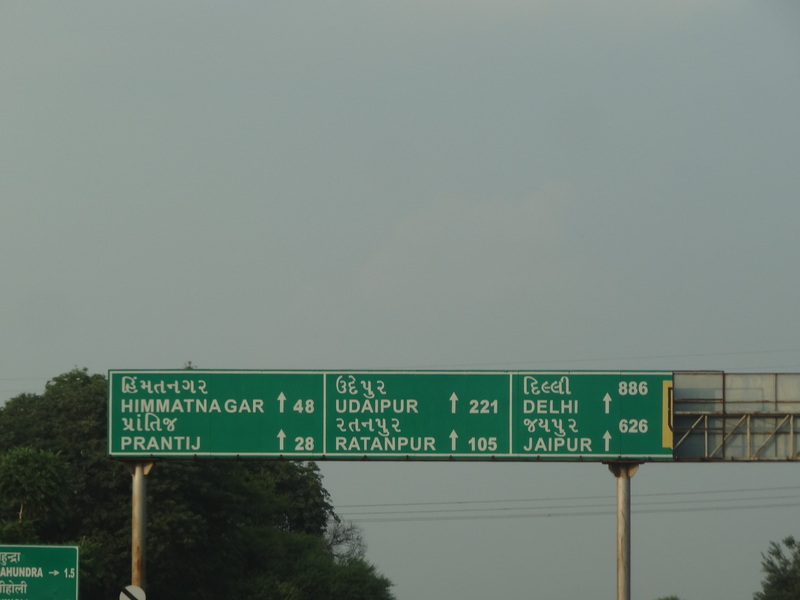 We passed across three great states of India today and felt proud to live in a country with such varied geography and culture. 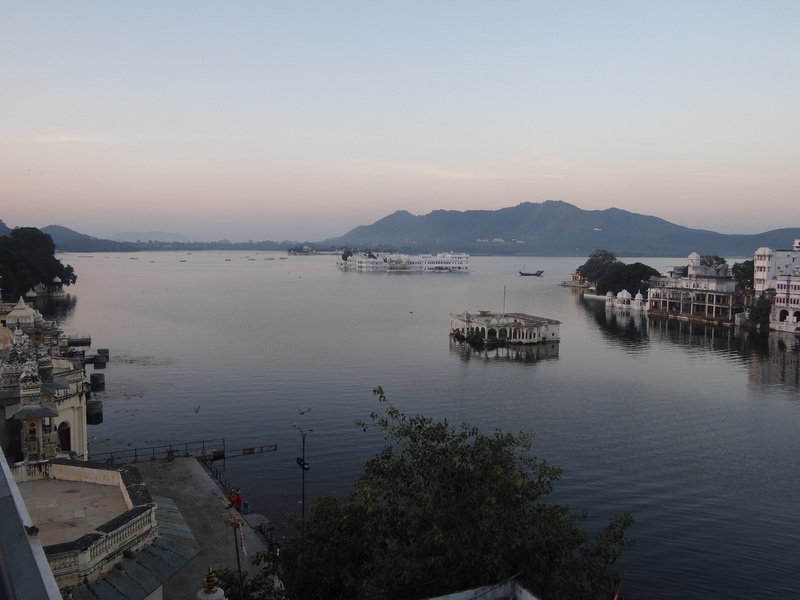 By 8:30pm, after 2 days of being road ridden we had finally reached Udaipur and were greeted by the picturesque Pichola Lake. The shadow of the moon was glistening in the clear waters and the sight was something to behold! My happiness was again a short-lived one as finding the hotel became a nightmare. There were two issues, first the roads of the area were extremely narrow and second, it was Navratra time and most of the roads were blocked due to the ongoing Garbas. The 45mins that we spent searching for the hotel proved to be a wild goose chase and we found ourselves standing at the same place from where we had started. By, that time 2 hotel staffs had come to our rescue and they directed us to the hotel. When we reached the hotel to our dismay, there was no parking place there. The car was supposed to be parked some 1.5 kms away on the roadside. 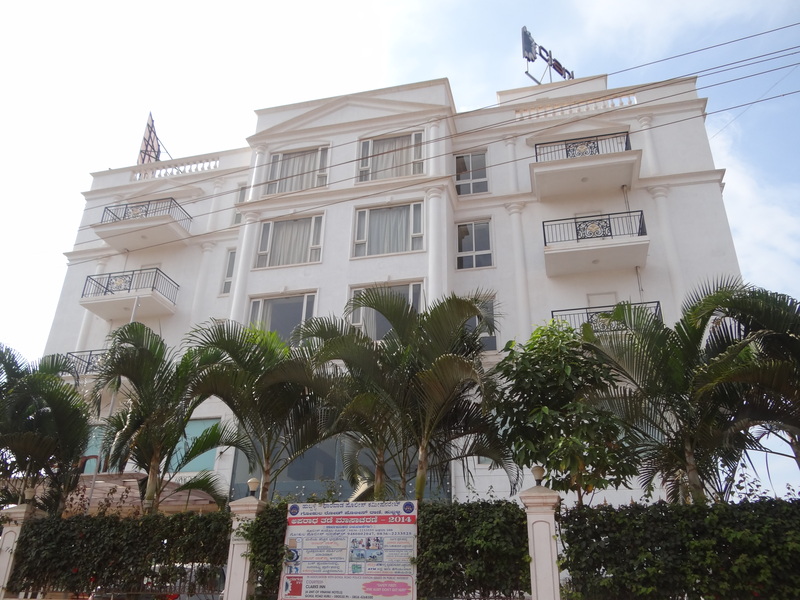 We were not convinced but after the hotel manager assured us multiple times that there would be no issue we found a comparatively safe place and reluctantly parked our car . The manager further explained that there are severe parking issues in all the Lake area hotels where its a star or a normal one. Somewhat relieved by the fact that we were not the only ones abandoning our car on the roadside we finally proceeded to the hotel room. 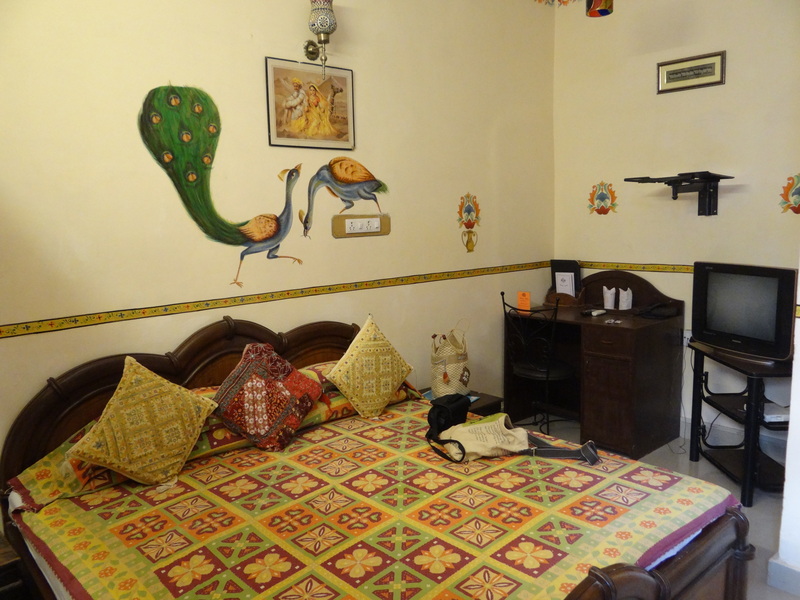 The hotel room was pretty spacious and had a hint of the traditional Rajasthani decor. Beside this it also had a small seating area. 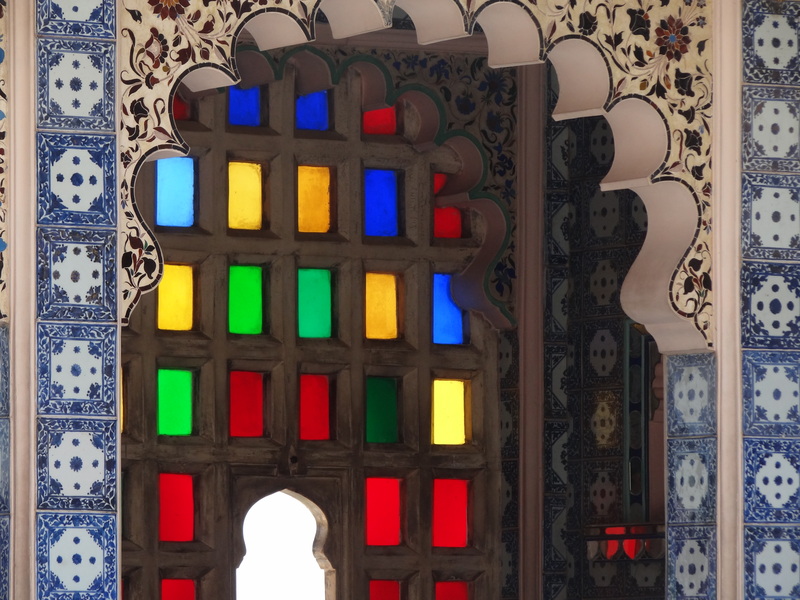 The room had windows all around and was facing the Pichola Lake. 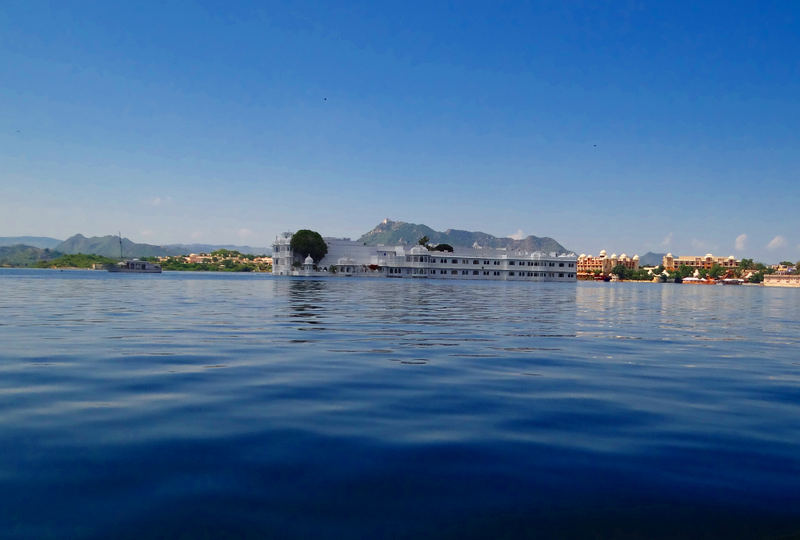 In the night the beautiful Lake Palace appeared majestic surrounded by the moon lit water. The hotel also had a restaurant on the top floor and a roof top sitting . We finished our dinner quickly and discussing our itinerary for tomorrow we finally drifted to sleep. Very nicely written. Thank you very much for sharing this on the forum. Appreciate your efforts. I am sure the trip was memorable. Thanks PH.. Glad that you liked the writeup...I will upload the rest of the post soon. Thanks AMG1.. You are right..this was a trip that we will remember and relive for lifetime..
With the palaces touching the skies..
..as you stand tall with dignity…." 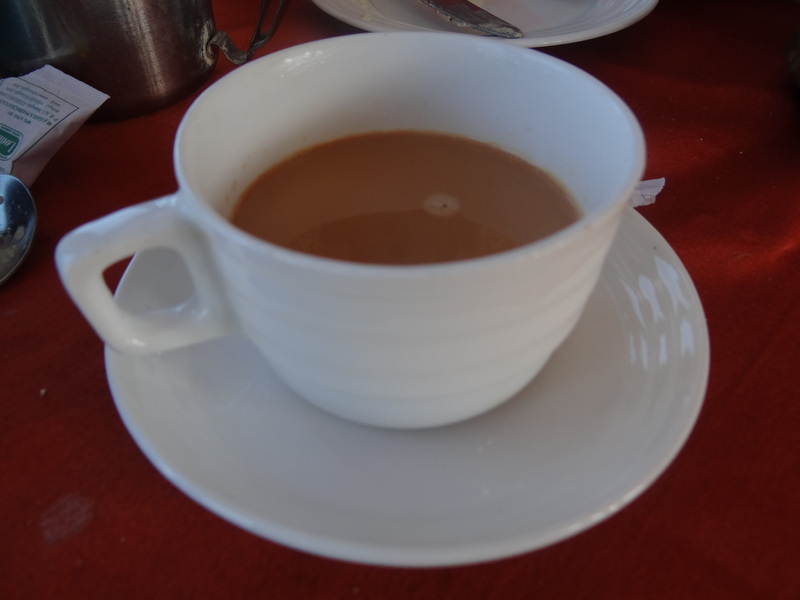 Around 7:00am I was woken up by the lingering aroma of the steaming morning tea. The view outside the window was breathtaking. It was like staring out into a perfectly painted picture. After enjoying the tea we hurried to the rooftop to enjoy the beautiful sunrise. 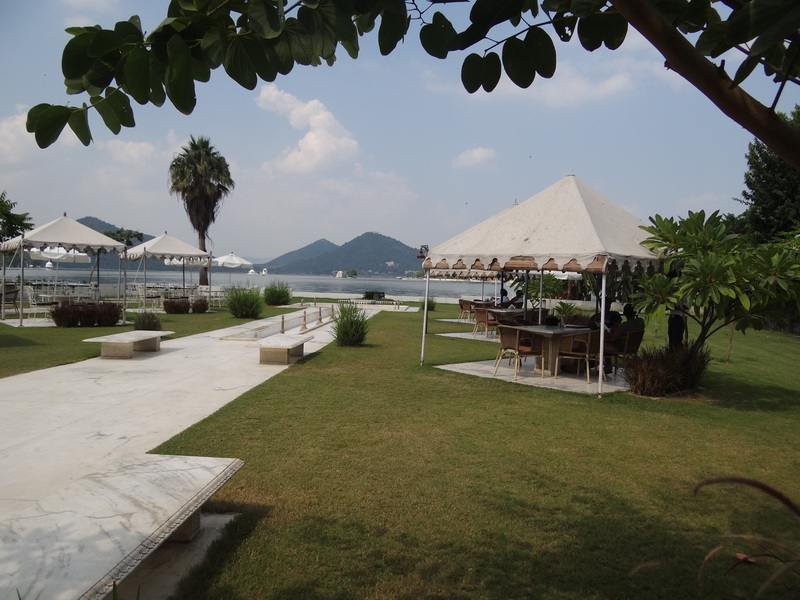 The serene waters, the pleasant breeze and the picturesque view of the far away Lake Palace made our morning! 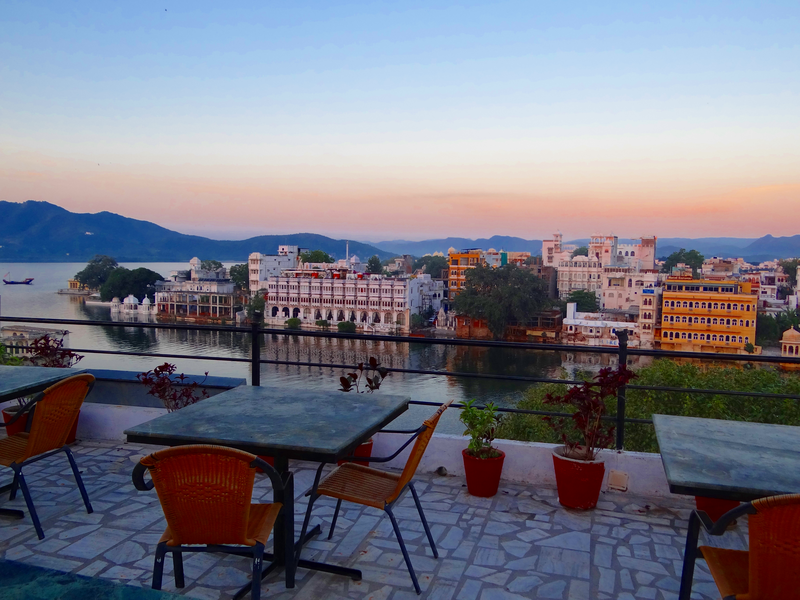 By, 9:00am we were done with our breakfast in the hotel and were ready to explore Udaipur. Owing to the fact that we were staying in the proximity of the lake area(where the major tourist attractions are) we decided to set out on foot. After some 10 minutes of walk we reached the entrance of the grand City Palace. There are a lot of ticket/info centers at the entrance that will provide details of the various combo package sightseeing options that are available. 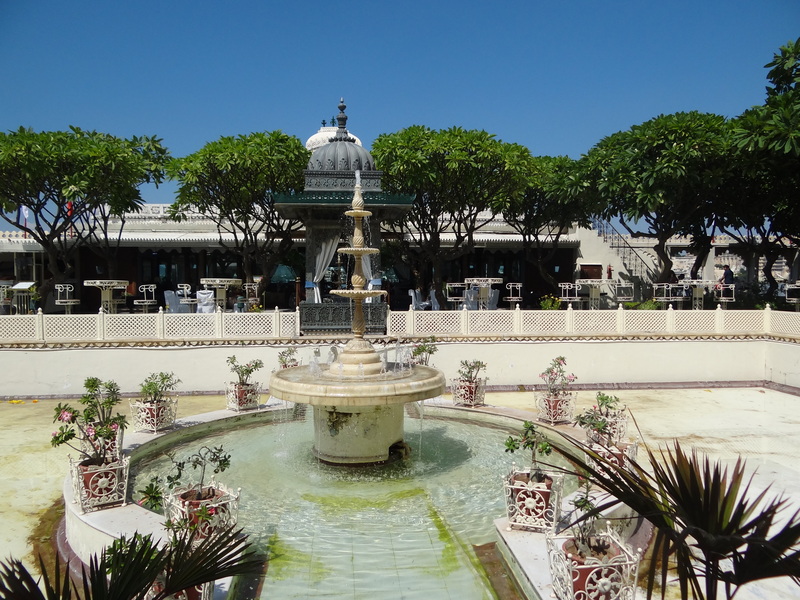 We went for the sight-seeing package that included: City Palace, Boat ride to the Jag Mahal, Crystal Gallery and the Vintage cars Gallery. The package cost was 1450/person. 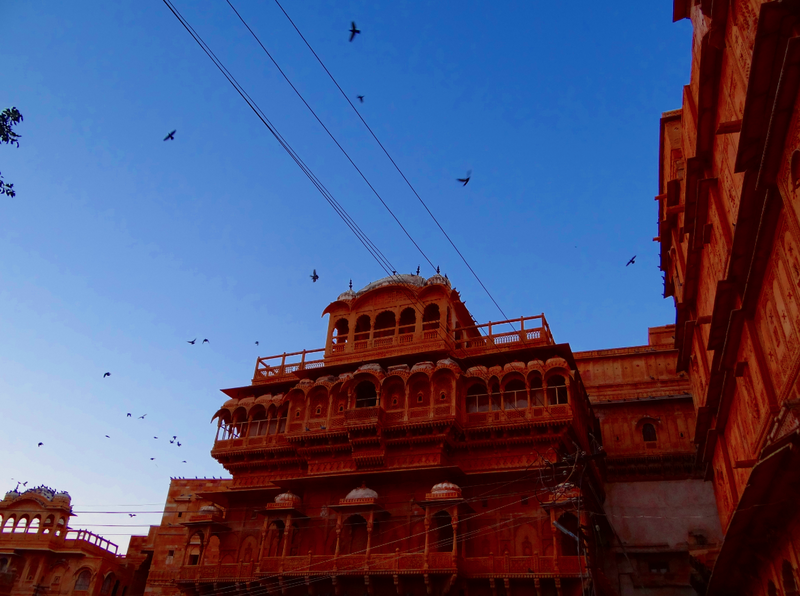 Tip:The City Palace is one of the biggest and most well maintained palaces in Rajasthan and is an absolutely must visit. I have heard that the palace gets quite crowded in the peak season with long queues in the ticket counters but still I would say that its worth a visit. Next, we set sail for the Jag Mandir. It's a palace converted into a hotel. 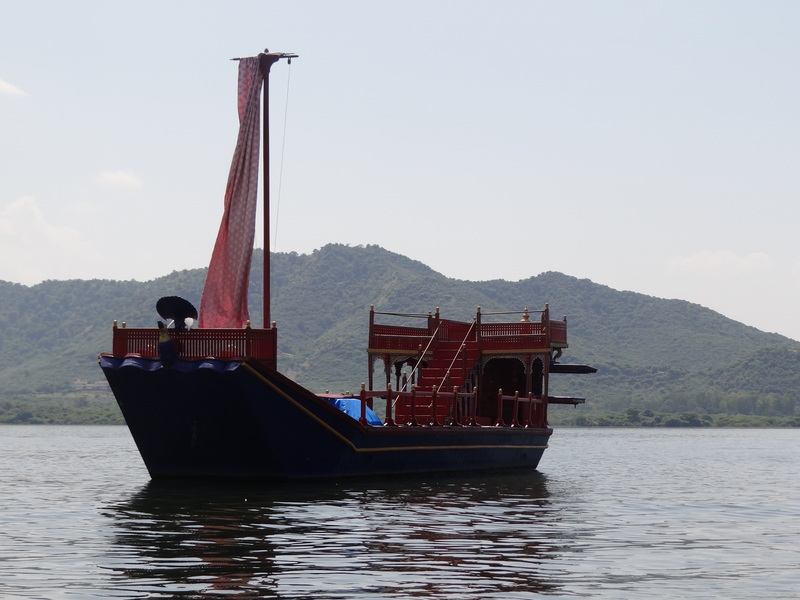 The boat ride is approximately 30-40 minutes long and its a nice experience drifting quietly along the serene Pichola waters. By the time we came back to the Lake Palace it was 2:00pm already and the three of us were in real need a lunch break. 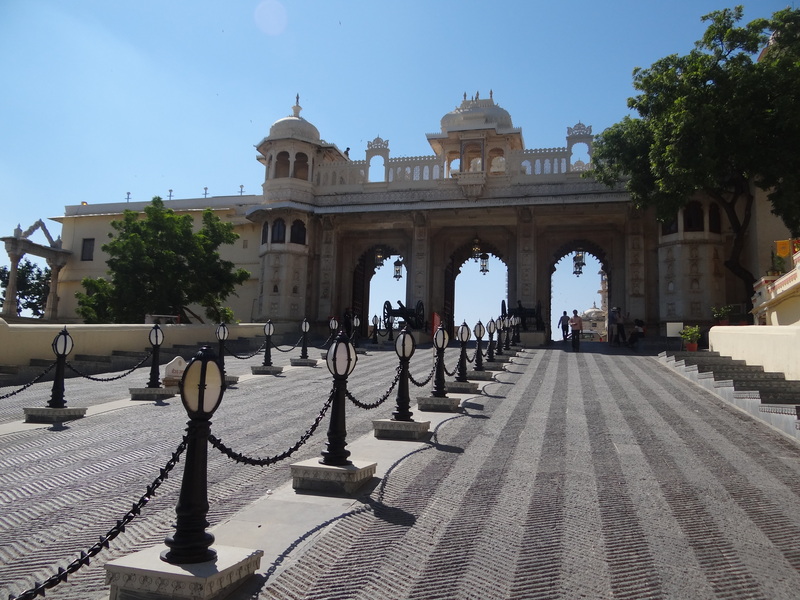 We stepped out of the premises of the City Palace and found a lot of hotels on the road sides. 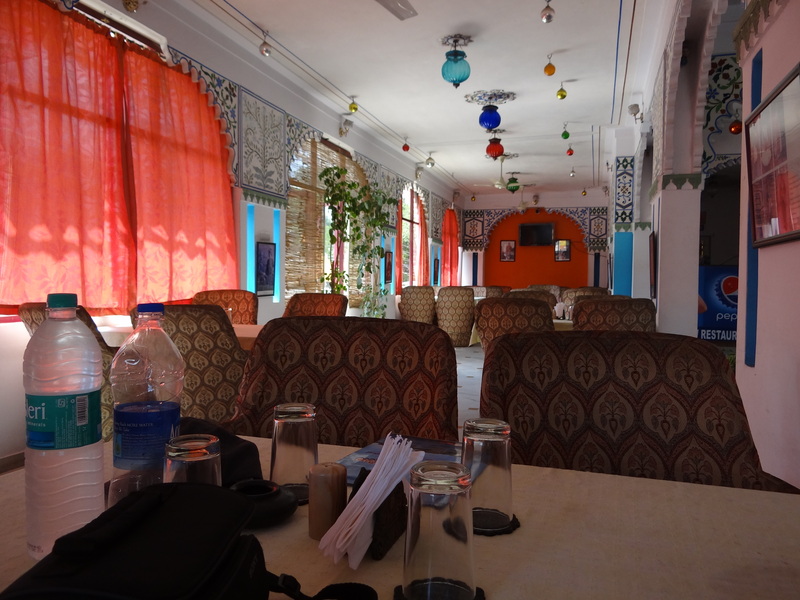 We stepped into one of it and ordered for a vegetarian Rajasthani meal. 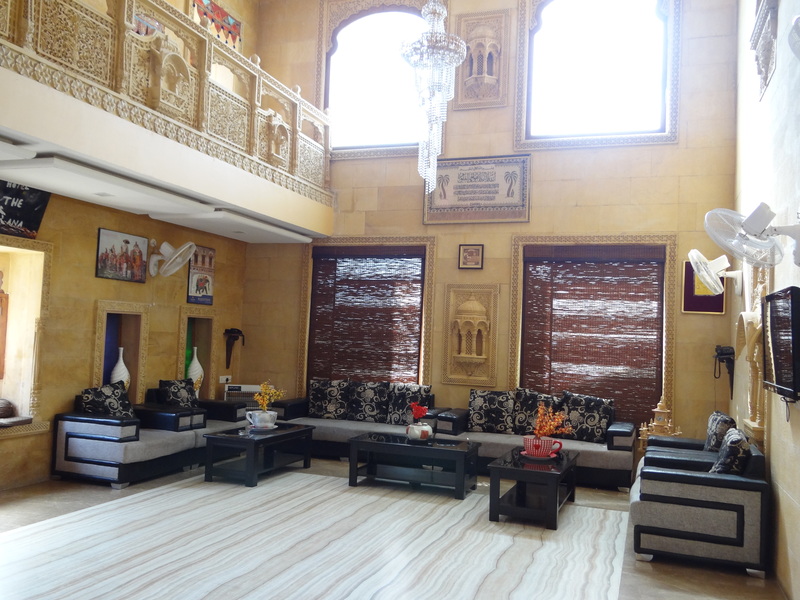 The best one I would say that we went to was 'Raaj Bagh Restaurant'. 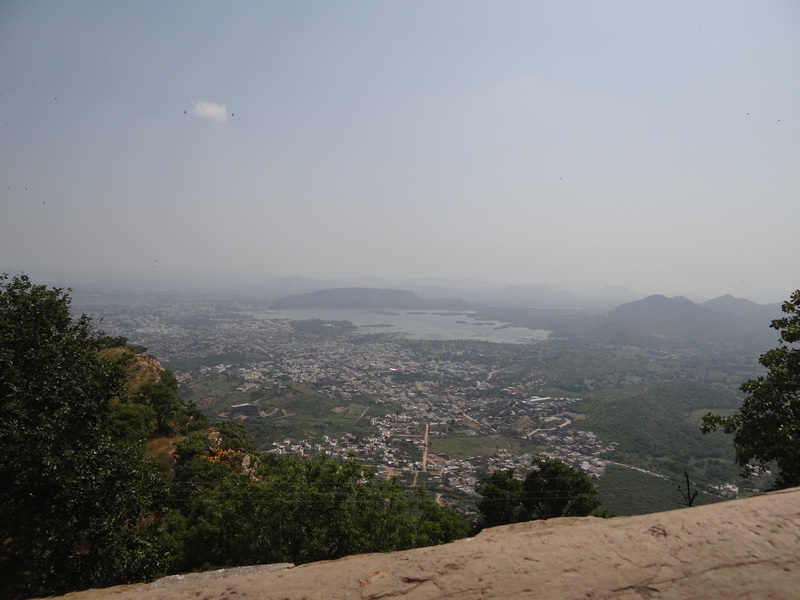 Its situated near the fateh sagar lake and the view is awesome from there. The food was also great. It was not very expensive(we spent around 900-1000 for three people and had a good lunch). Try to take the seat outside in one of the tents. The view is awesome from there!!! I am sure it makes for a nice dinner place as well. 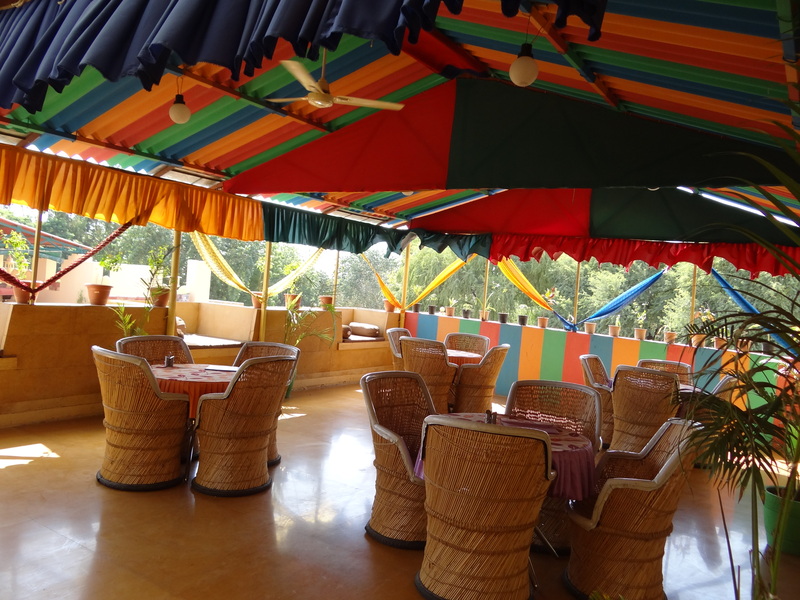 About local food-We stayed near the Pichola Lake are there you can find lots of small places serving Rajasthani/Punjabi food. There will be local vendors selling sweets and local delecacies as well. I actually didn't get time to try anything further but I am pretty sure there are better places as well. So, if some reading the thread knows about some other good place in Udaipur please suggest it to PH..
Also, somethings that I really liked were..ker sangri(Its a vegetable; tried it in Jaisalmer: but I am sure its available throughout Rajasthan). Very different taste and good to have and of course you have the 'gatte ki sabzi' and 'kadi' that are almost always good there. After being extremely satisfied with the food we moved on towards the City Palace campus to visit the Crystal Gallery. The Crystal Gallery really lives up to its name and the section includes a crystal dining set, crystal bed, crystal chair, and all possible furniture that you can think of made of crystal!! Photography of the main section is prohibited. There was a huge ballroom below that was open for photography. The main attraction was the enormous, exotic chandeliers that hung from the ceiling. It was a sight in itself!! Now was the time to experience the last attraction ‘The Vintage Car Collection’. This car museum has around 10-15 vintage cars. Some of the cars are still used in the royal parade. The cars are well maintained. 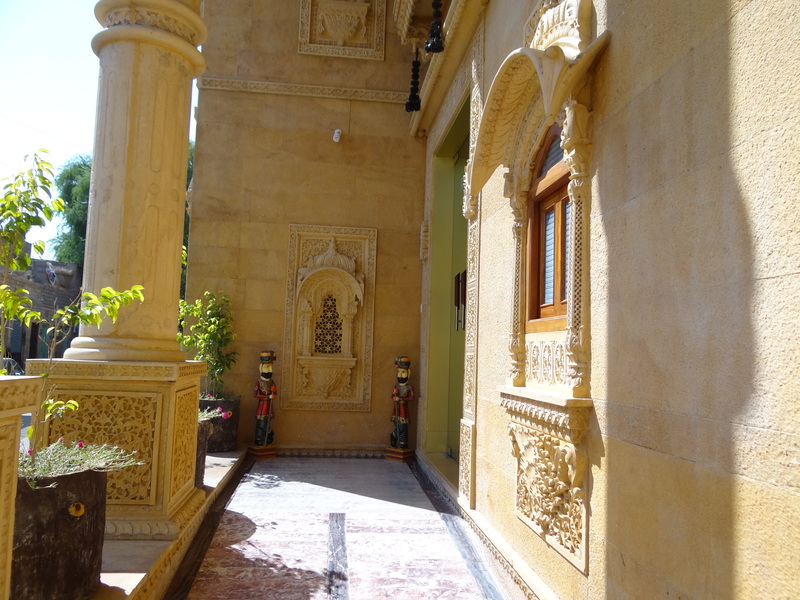 This gallery is located at a distance of aprox 2kms from the City Palace. There are autos plying there regularly for 50 bucks. It was approximately 4:30pm in the evening when the day’s itinerary was over. We also made a plan to attend the ‘Light and Sound Show’ in the City Palace that day which is scheduled everyday between 7:00pm to 8:00pm. 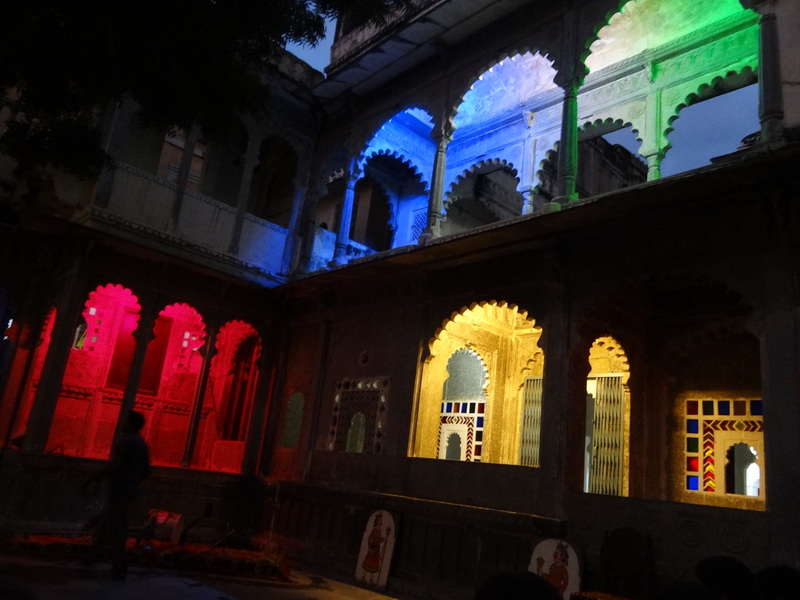 So, we had a window of two and a half hours in which we decided to take a quick siesta and headed for our hotel.. .
We woke up around 6:30pm, had quick evening tea and hurried over to the City Palace for the light and sound show. This grand show is screened in the space in front of the City Palace . 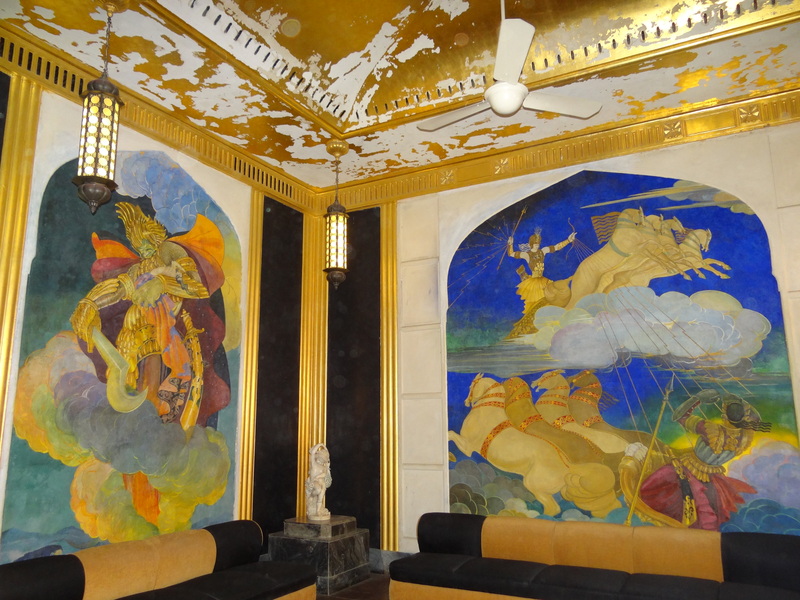 It showcases the grandeur of Udaipur across generations and ages. A very educational show if you are interested to know the history of Udaipur. After taking a trip to the enchanting history of the City Palace we came out of the premises to find the city bubbling with Navratra festivities. 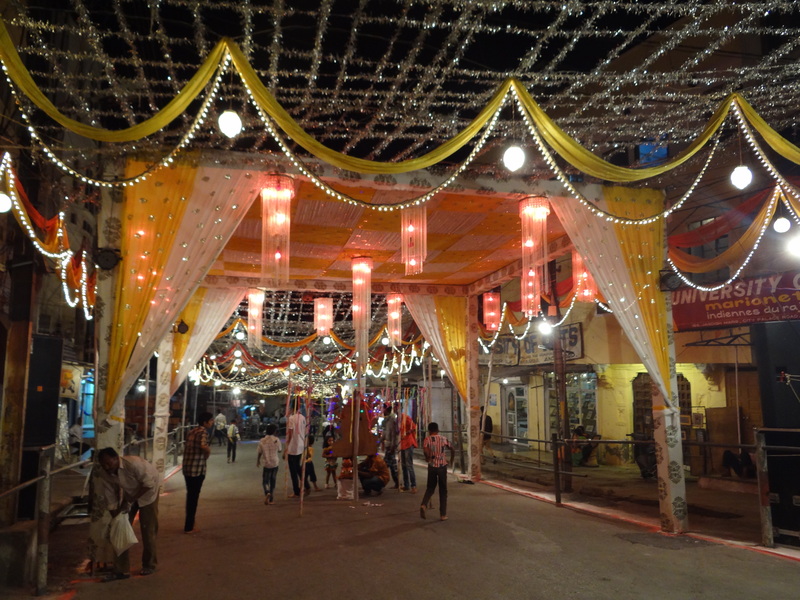 The whole city was lighted up and the Garba had started. We roamed around the streets for a while and after having dinner retired for the day. 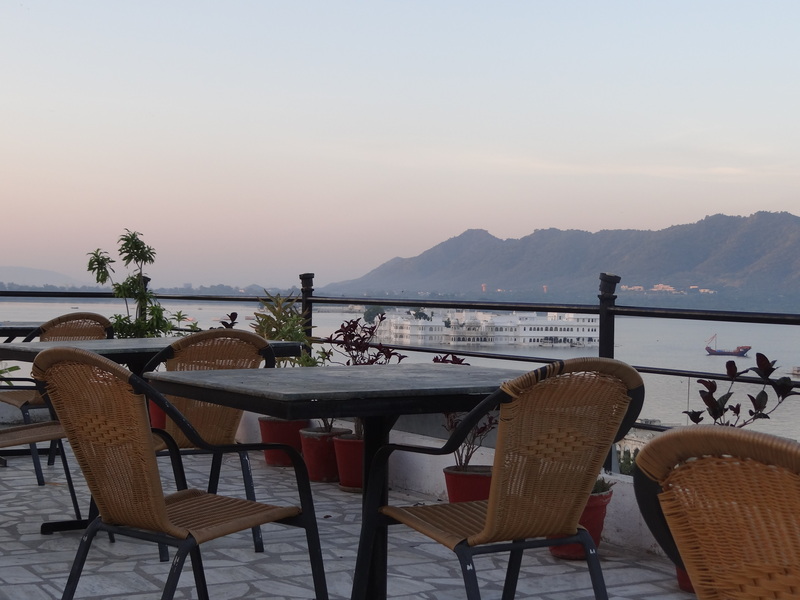 We woke up by 8:00am the next day in Udaipur and after the usual round of a visit to the rooftop and staring at the beautiful lake routine we realised that we didn't have any itinerary planned for the day. 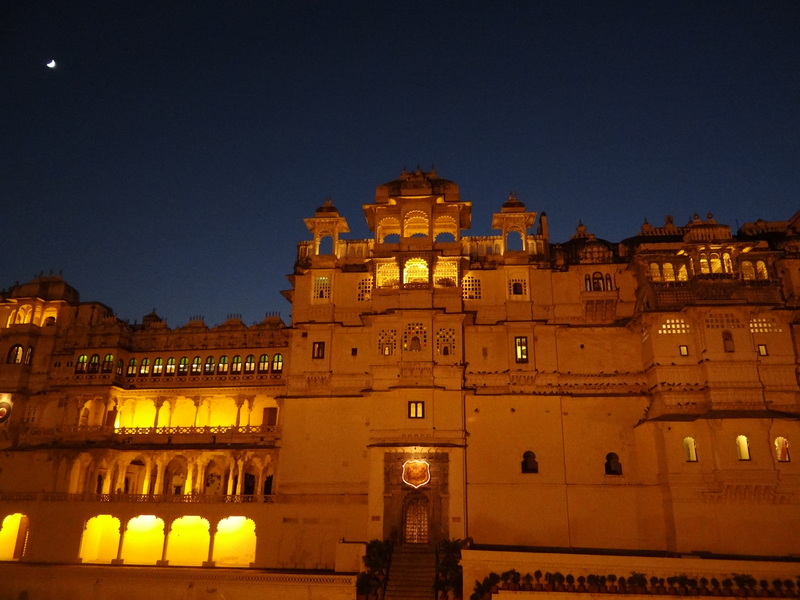 We started off with itinerary planning but after the numerous diversions in the topic of discussions we realised that it was already 11:30pm so we decided quickly to go on with the plan to visit the Monsoon Palace. By 12:00pm we were all driving towards the monsoon palace.It's a hilly drive of almost 45mins from the city. 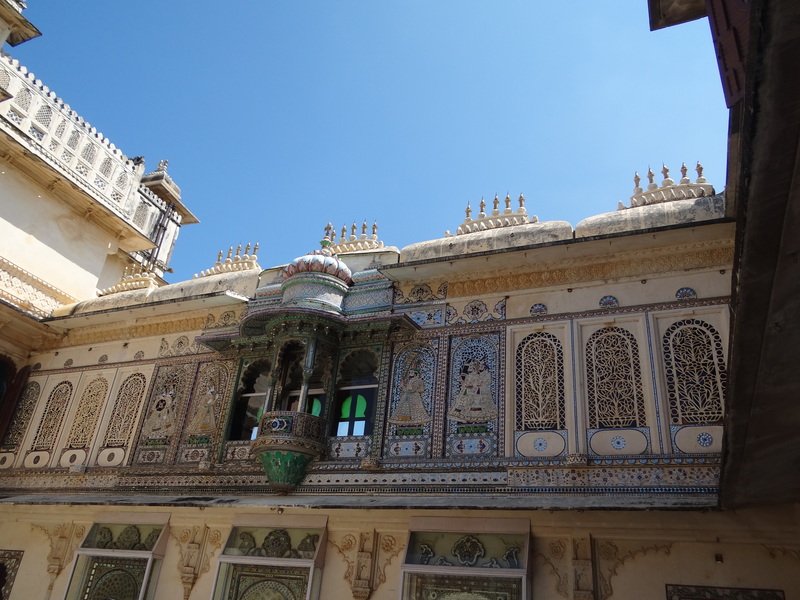 This palace was the monsoon gateway of the then royal family. For now, it lies almost deserted and almost in ruins. It is not so well maintained but if you are looking for some quiet time away from the swarming city crowd this is a place to be. 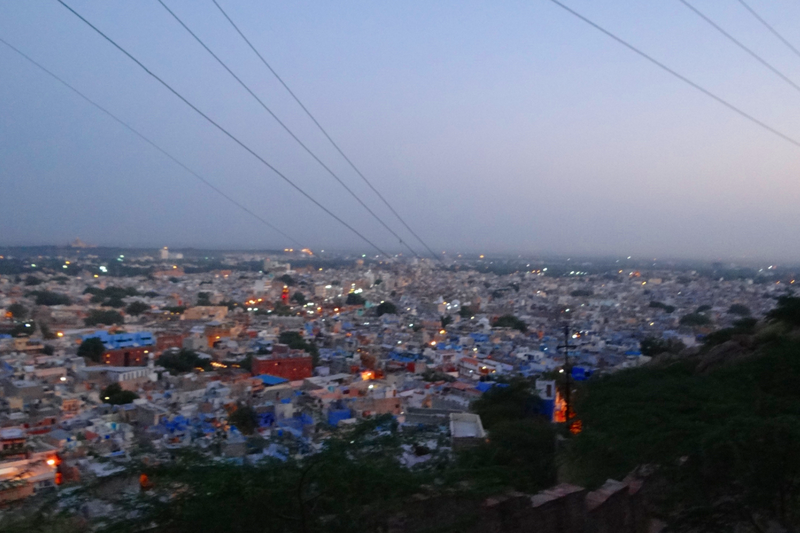 Also, the view of the city is awesome from the hill-top on which its situated. It was 1:30pm by the time we came from the Monsoon Palace. 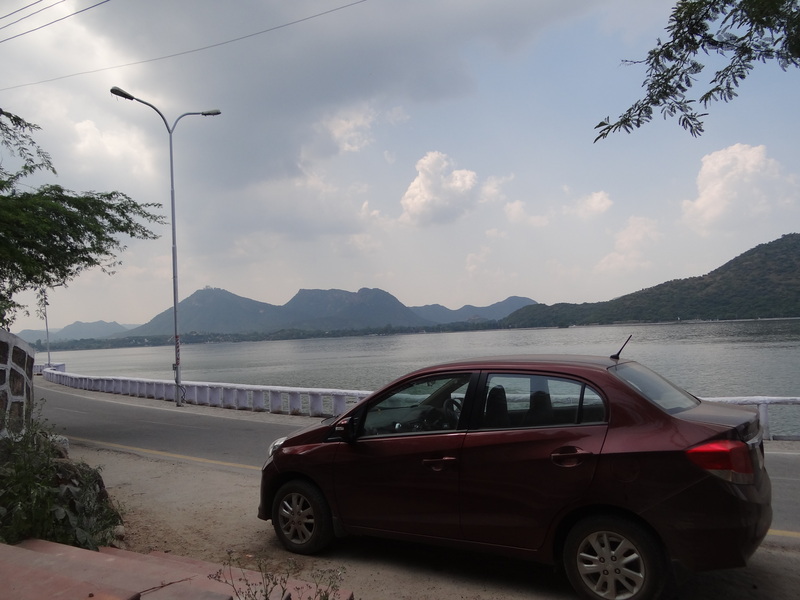 We were looking for a descent place to have dinner and we stumbled across the Fateh Sagar Lake. Its a huge water body and seemed relatively lass crowded. The lake was clean and stretched wide across the horizon. We decided to halt in a nearby lake facing restaurant for lunch. The view from the restaurant was astounding. The food of the restaurant was also quite fresh and sumptuous . After finishing the satisfying lunch and beholding the awesome view we had to reluctantly move as our lunch was done. 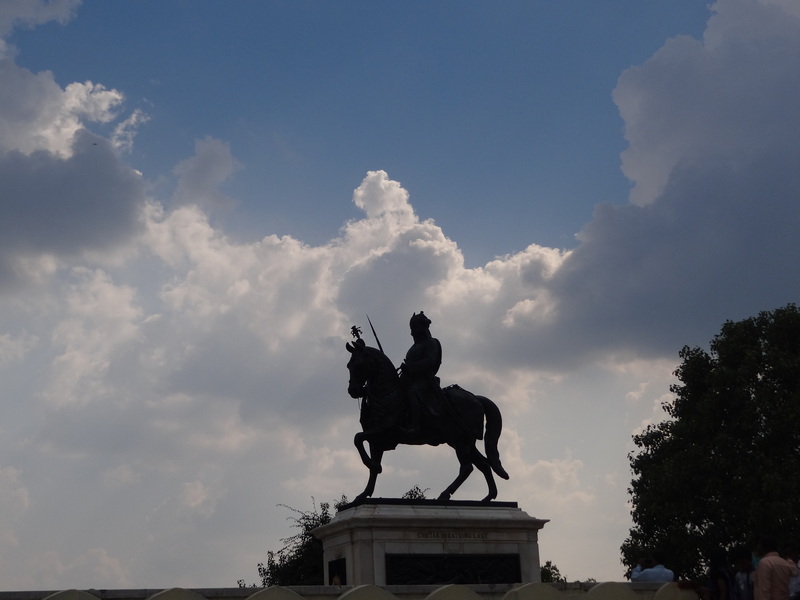 It was still around 3:00pm so we had some time left and we decided to quickly cover the 'Haldighati Maharana Pratap Museum and Chetak Samadhi'. We quickly took a round of the place and by then decided to call it a day at least till evening. 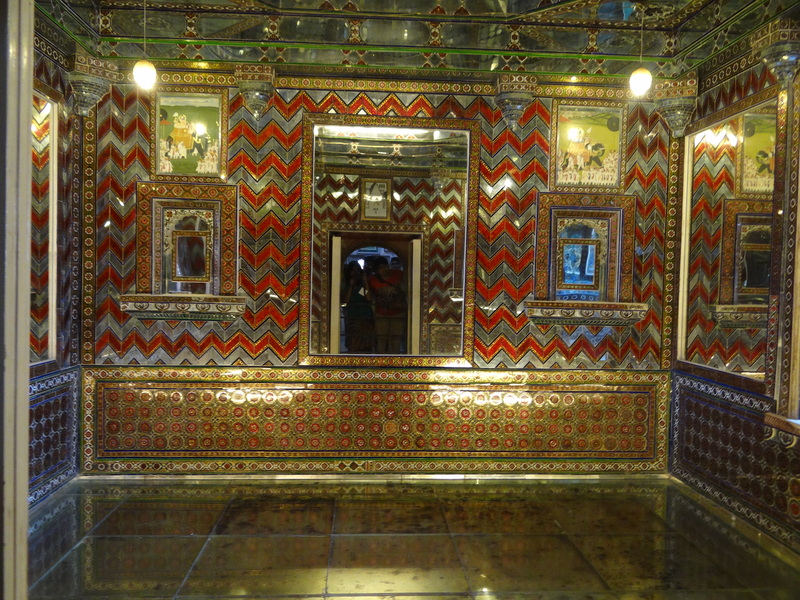 This place showcases the gallantry of the Maharana and his horse 'Chetak'. We reached hotel by 4:30pm and since we had some more time before the 'Bagore ki Haveli Dance' we took some rest. 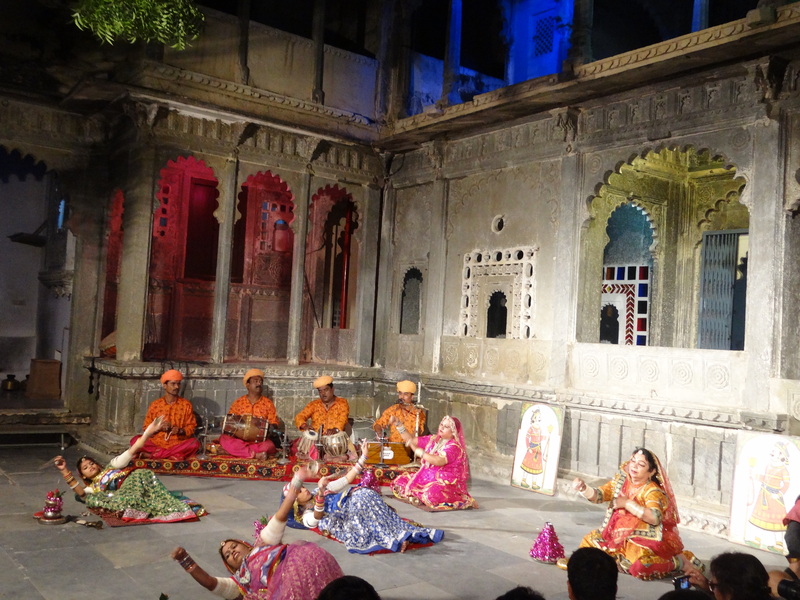 By 6:30 pm we were all set to enjoy the dance performance by the artisans of the Haveli. The colourful dance performance was a true extravaganza and a real treat to the eyes. 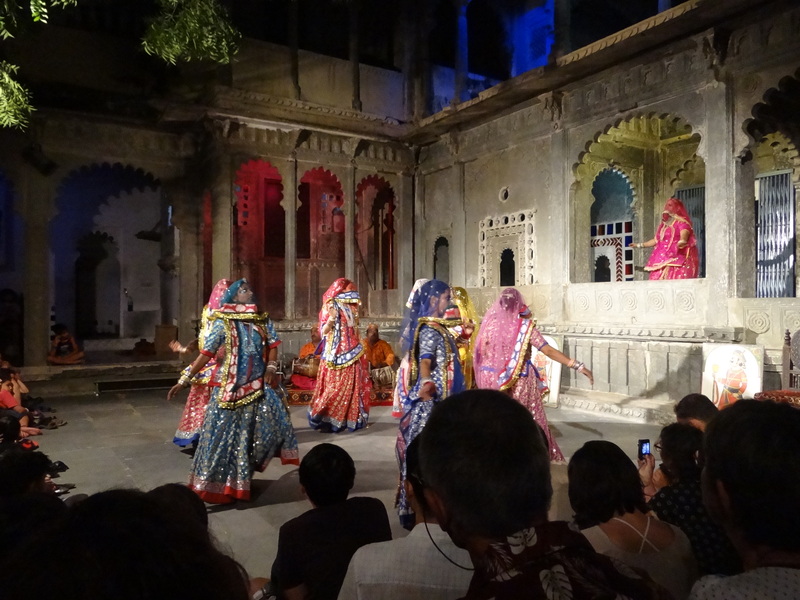 The one hour show included a seek-peek into all the major dance forms of Rajasthan and also a puppet show. Truly worth a watch and highly recommended. I tried my best to haggle on the prices of some of the stuffs and ended up buying couple of stuffs..just to know subsequently, that even after putting so much effort in haggling I had not done a very good job.. 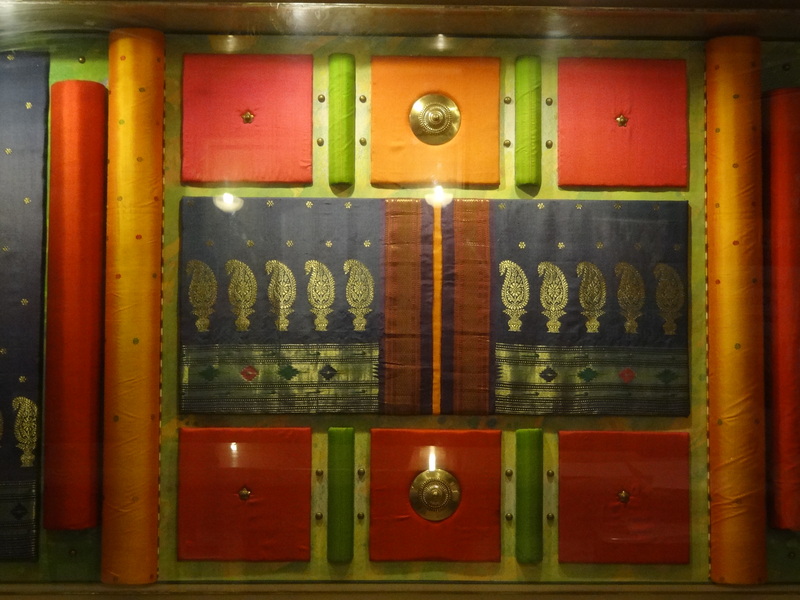 ..But on other note, the Rajasthani fabrics and traditional paintings are of top-notch quality and most of them are handmade by artisans. They are obviously worth a look. At around 9:00pm, when we were somewhat tired by our ongoing shopping spree and started looking for dinner outlets. 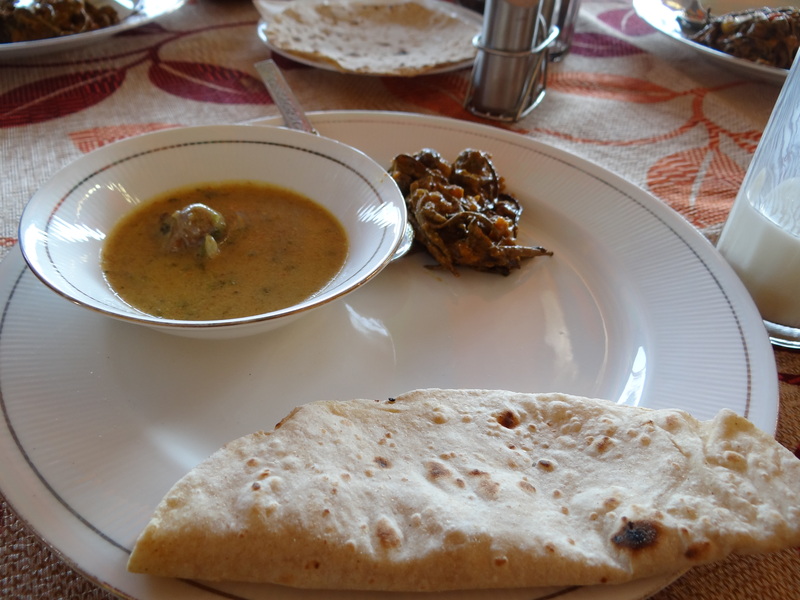 We wanted to have authentic 'Rajasthani Thali'. This actually came as a shock that none of the restaurants on that lane were serving the Rajasthani thali, instead they had the Punjabi Thali on their menu. After some more time of futile search we went ahead with the available option which was well prepared and had a nice savory taste. 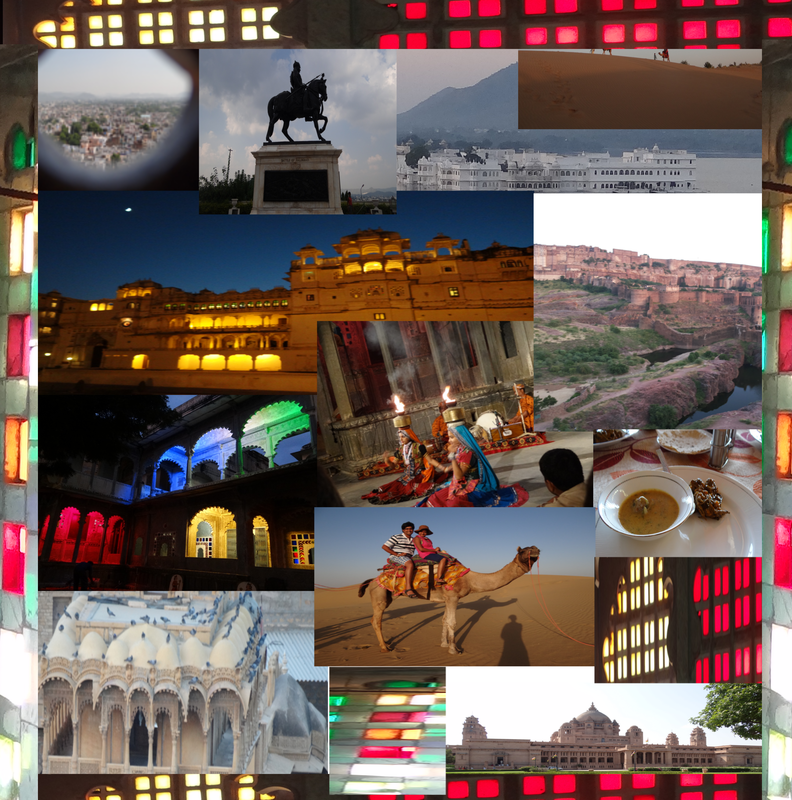 With the colourful memories of Udaipur lingering in our hearts we were all set for our next destination 'Jodhpur'. 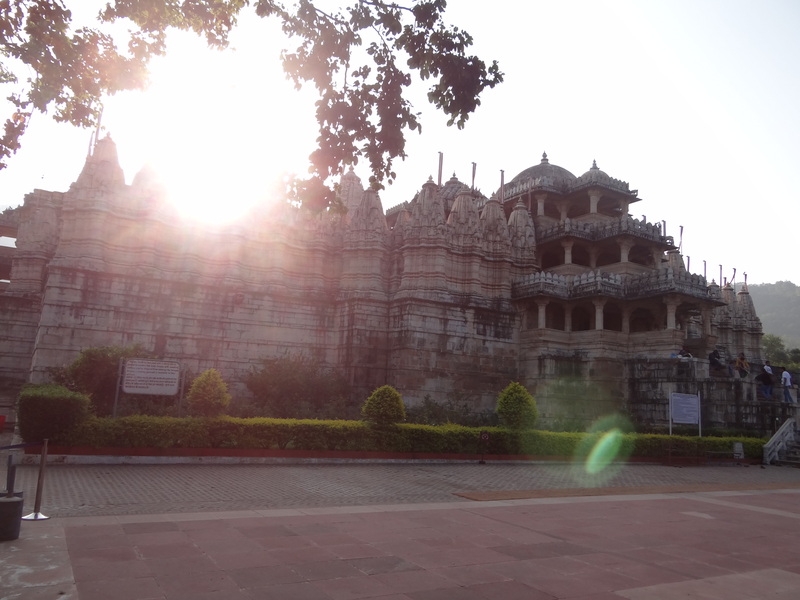 We started off to Jodhpur at 5:30am the next day and decided to take a small diversion towards Ranakpur to visit the famous Jain temple. This pure marble architecture is a very quite and peaceful place to be in. Tip: Please wear full pants if you want to enter the temple(capries and shorts are not allowed). There is a dress code in the temple that is followed there religiously. After witnessing this architectural extravaganza we proceeded on with our journey toward Jodhpur. 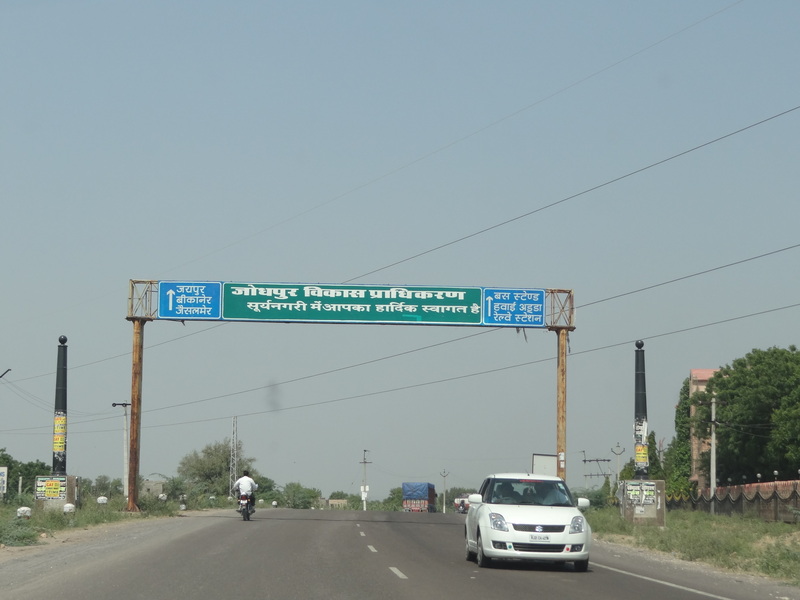 By 1:00pm we entered Jodhpur. Locating our hotel was not difficult since it was located on the side of one of the main road. The hotel was average with small rooms but the hotel staffs were very friendly and were trying hard to make us feel at home. Here we were joined by another friend of ours and now we were 4 of us in the journey. 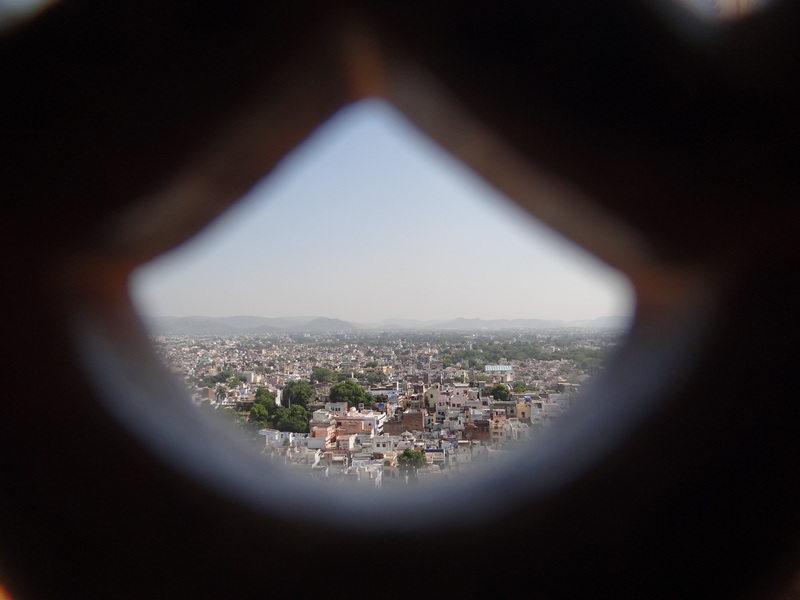 Since, we only had a day in Jodhpur and we had to cover two activities for today: The sightseeing at the Umaid Bhavan Palace and The ziplining at the Mehrangarh fort(which would close by 5:30pm) so, we had no time to waste and after dumping our luggage in the hotel we proceeded towards the Umaid Bhavan Palace. 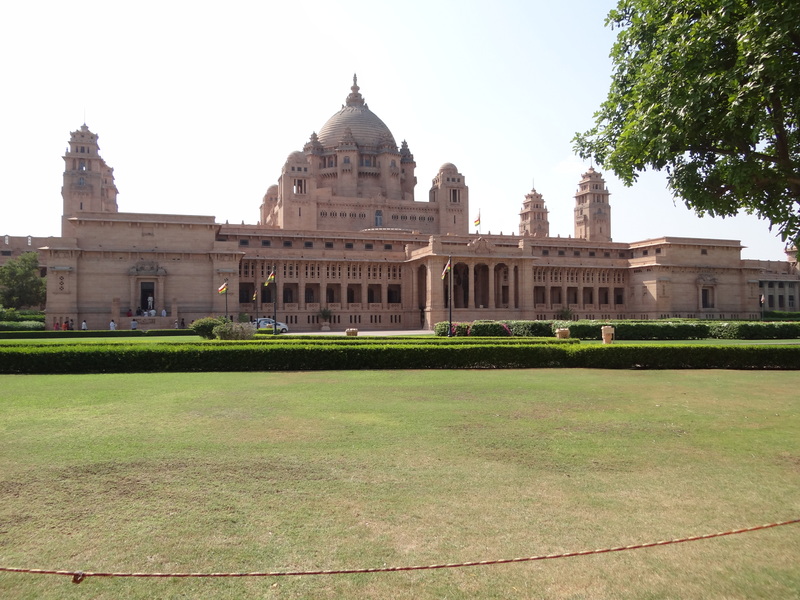 The Palace is well maintained and has got royal artifacts on display. 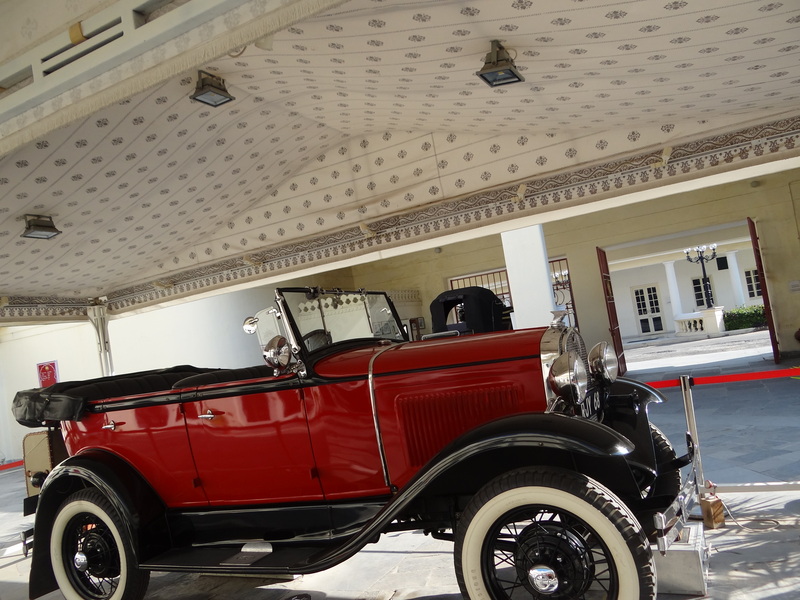 It also has a vintage cars collection similar to the one in Udaipur. By, 3:00pm we had finished our palace sightseeing and was time for some action!!! 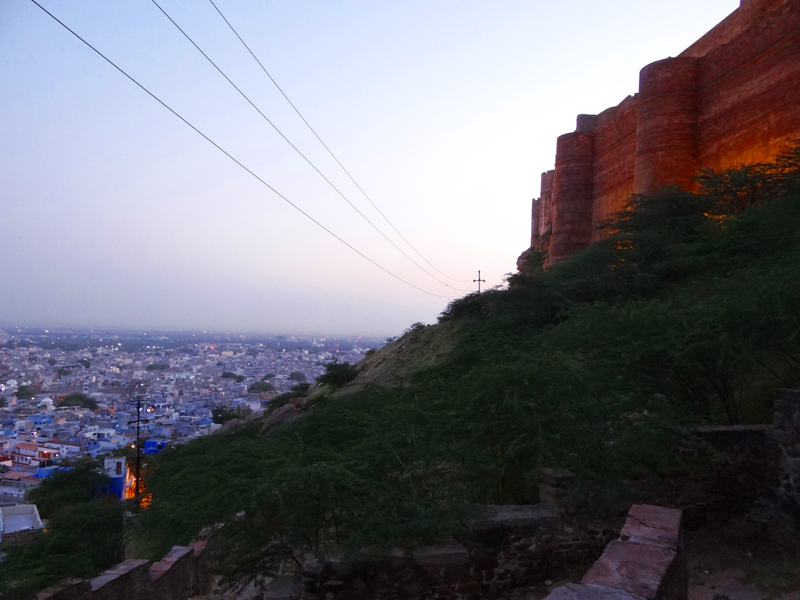 We headed for the ziplining next towards the Mehrangarh Fort. The Fort is situated in the busy market area. We had a hard time looking for parking space for our car as it was almost full. Finally, after half and hour of thorough search we got a parking space. The fort was almost 1 km from there so took an auto to drop us at the entrance. After that we had a steep climb of almost half an hour to reach the actual entrance of the fort. We were sweating from head to toe and were seriously out of breath when we finally reached the entrance and to our dismay we then saw the parking slots for cars just at the main entrance of the fort. We ran all the way and somehow made it to the flying fox office and got ourselves registered for the ziplining. The ziplining happens in a badge of 10-15 people at a time who are accompanied by two trainers. There are 6 zips in total all of varying lengths and it’s quite thrilling, a MUST try!! Tip: We relaized this after climbing up the fort but there is car parking space just outside the fort entrance and there was no need to walk all the way up the fort from the market area. Feeling accomplished, after the successful completion of the zip lining we proceeded towards the hotel to get the much needed rest. For a comparatively non-adventure seeking person like me, completing this zip lining was like a pure accomplishment which I can never stop boasting about.. !! Loving every post of this travelogue. 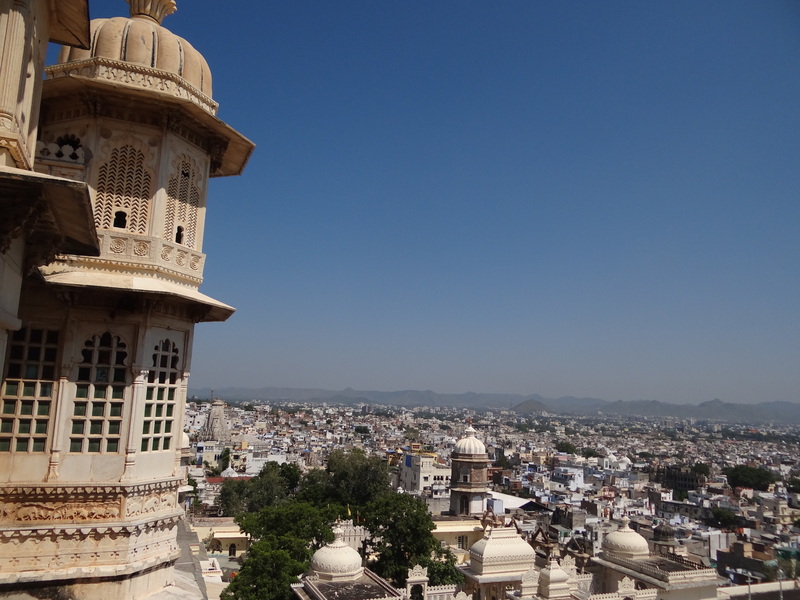 Had been wondering about places to visit in Udaipur since we have 3 days there at our disposal, you have summed up things superbly. Thanks a bunch for this. It was fun to read through journey and the superb pictures you have posted. How was the performance of the car? Is your car diesel or petrol variant? Did you face any problem like tyre puncture etc? Mine is a diesel variant. Luckily, we did not face any issues not even a tyre puncture during our entire journey. Car performed superbly on highways, good and bad roads equally well, never felt out of power.Brakes and Handling was precise as expected. Even during our last leg of 1200 kms - 21 hours, we never felt it ever broke a sweat, always ready to cruise on. It lived up to the trust we had before the start of our journey. The air conditioning needs a special mention. In the hot Jaisalmer afternoon, we were pretty comfortable inside the car while it was hard to even stand for a minute outside the car, although, rear AC vent might have made things better for the back seat passengers. Fuel efficiency was brilliant. We got an average of 22+ Kmpl with 99% AC usage throughout our journey. People do say that the engine is a bit noisy but frankly, I love the roar of engine and in the back of the mind it always reminds me of the power surge that Amaze is capable of!!! 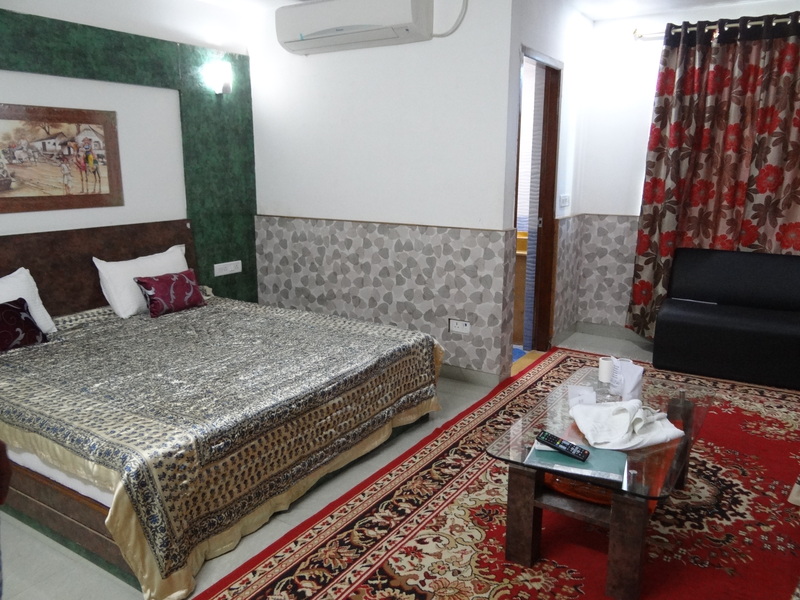 Thanks LeoRahi...Happy that you liked the post..
We had a late start from Jodhpur at around 10:30am, after having a relaxed and heavy breakfast in the hotel. The journey was pretty seamless and finally we could get a glimpse of the desert. 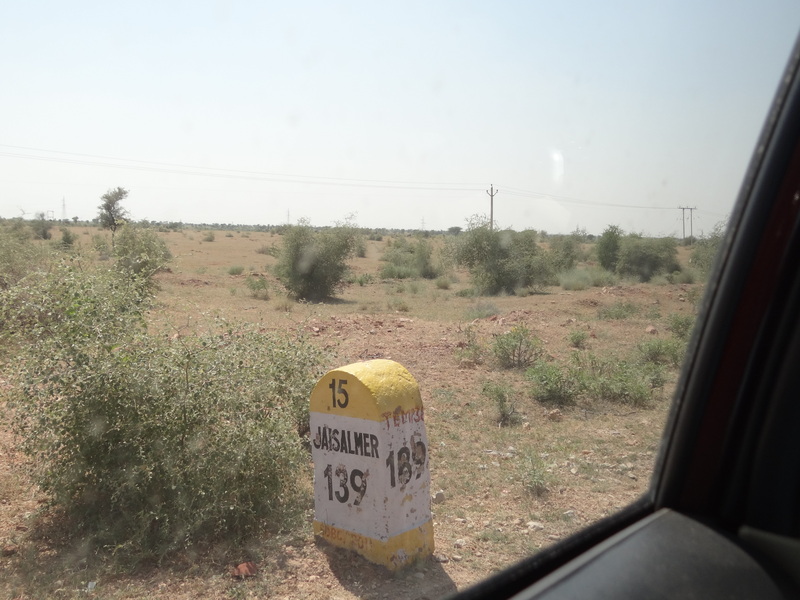 As we neared Jaisalmer the landscape had changed drastically, the green grass was slowly converting to thorny bushes. We could feel the temperature soaring high. The concrete houses slowly were transforming to sandstone houses. Occasionally, we could see the herd of camels passing by. 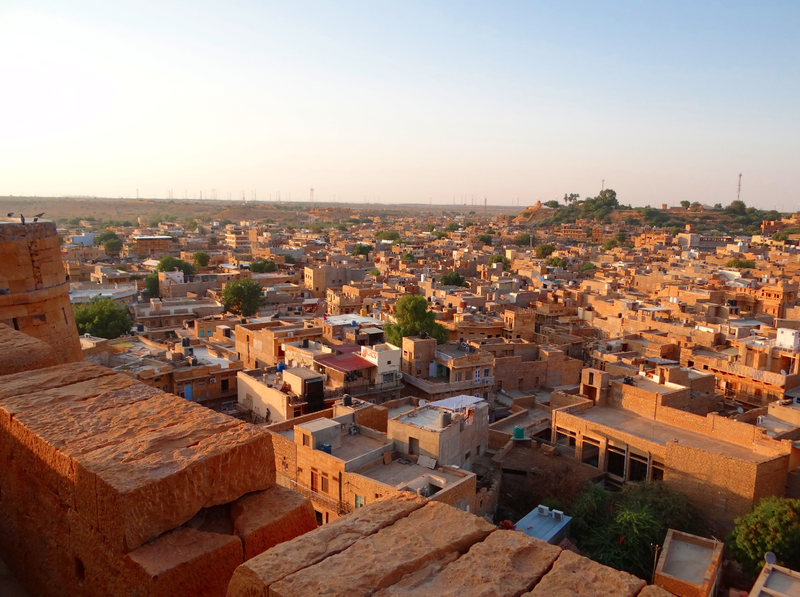 Our plan was to stay in Jaisalmer the first day and visit the Jaisalmer fort and then proceed towards the desert camp the next day. We were perfectly on schedule and by 2:30 pm we reached our hotel. Yeah, I know, ‘Hotel RanaVilla with swimming pool’ sounded amusing to us as well in the first instance..
, but we had an awesome time taking chilling out in the swimming pool in the midst of desert, so, name was well deserved.. 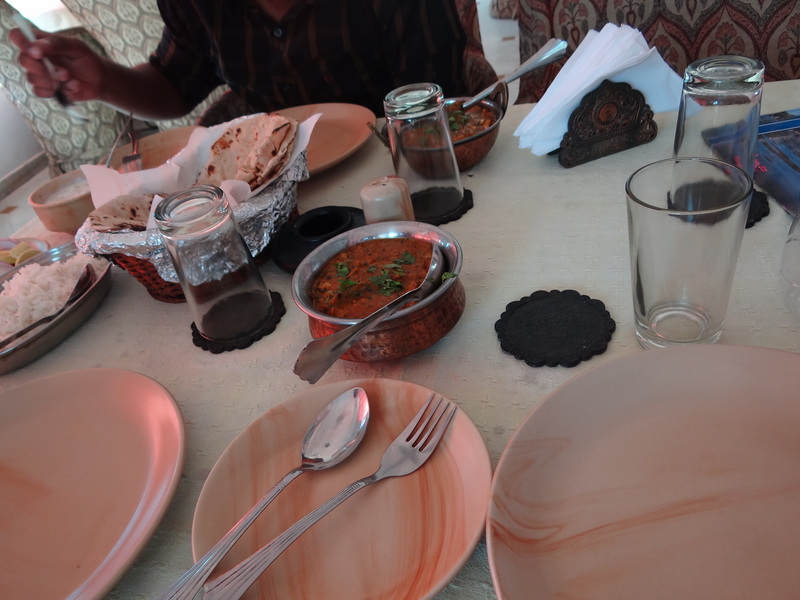 In the lunch we ordered for ker sangeri, curry, dal and chapatis. The food was awesome and moreover everything was freshly made and served. Tip: Ker Sangri is a vegetable which is served in many parts of Rajasthan. It has a very peculiar taste and is a must try! 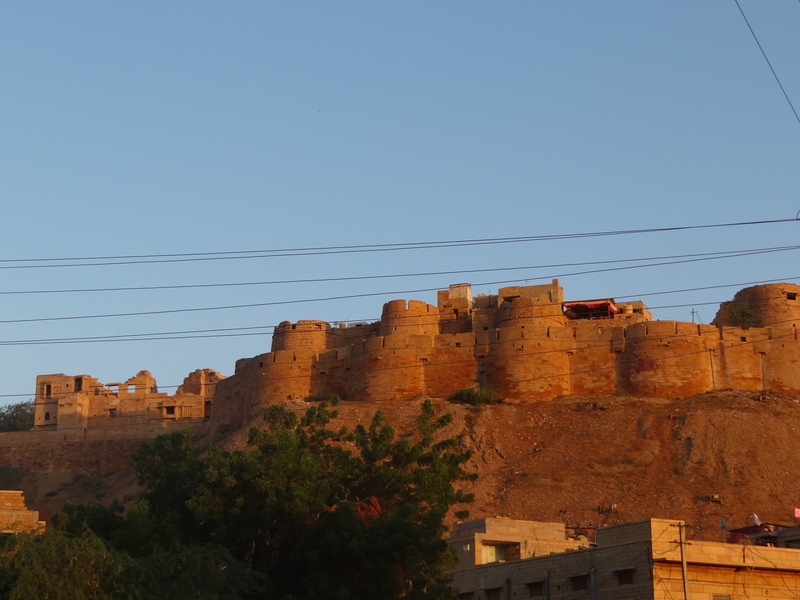 After having a satisfying lunch we proceeded towards the Jaisalmer Fort. The fort was at a walkable distance from our hotel. This sandstone structure is huge and stands proudly in the middle of the city. 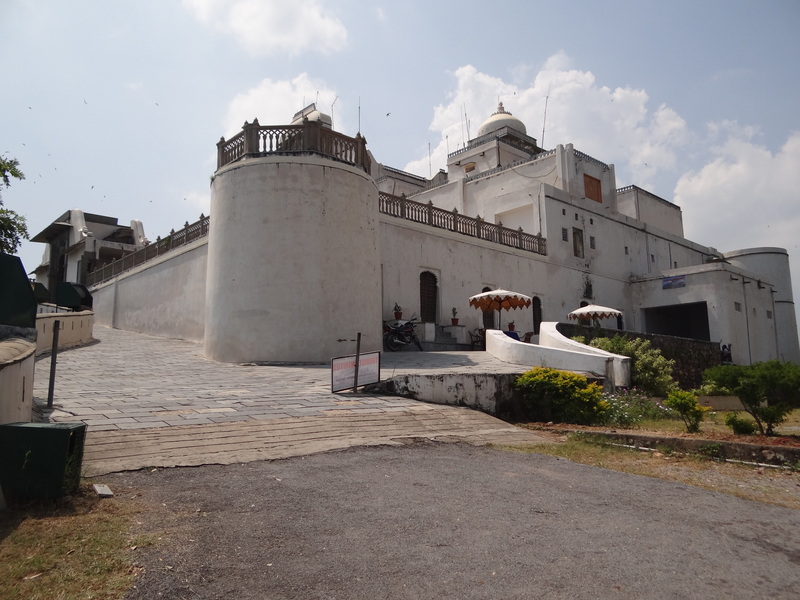 Some parts of the fort are legally occupied by public so inside of the fort appears like a small city in itself. After having a walk in the fort, I was out for a bit of shopping. The street shopping in the Jaisalmer is awesome. The shops near the entrance of the fort selling exquisite textiles and handbags are quite cheap and of pretty good quality. I guess that the shopping in Jaisalmer was much cheaper because the shops are more of tailoring outlets. You could see the craftsmen working there as well. I had a ‘shop till you drop’ experience there. Happy with all the ‘value for money’ shopping that I did I came back to the hotel quite content. Tired by the days activities, we had an early dinner. Lying on bed I could still remember the beautiful sunset we had witnessed from the Jaisalmer Fort and slowly with the portrait of it still in my mind I drifted to sleep. Wonderful. This thread keeps getting better and better. Waiting for the next installment. Why not put some pics of your Amaze as well? Here is my Amaze Gallery..